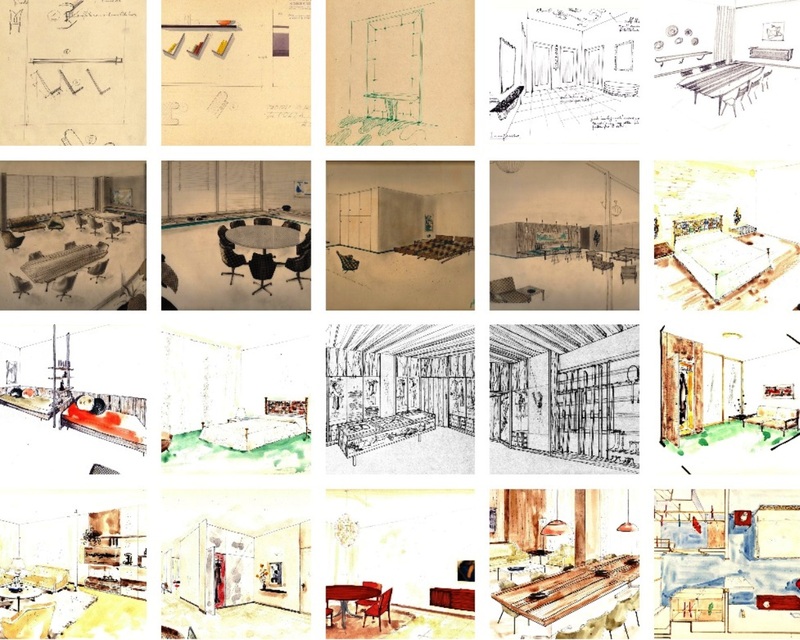 Ahead of the Osvaldo Borsani retrospective at the Triennale di Milano in May, which will look back on the life of the pioneering Italian designer, his grandson will be co-curating an exhibition of sketches and blueprints from the family archive with the architect Norman Foster. 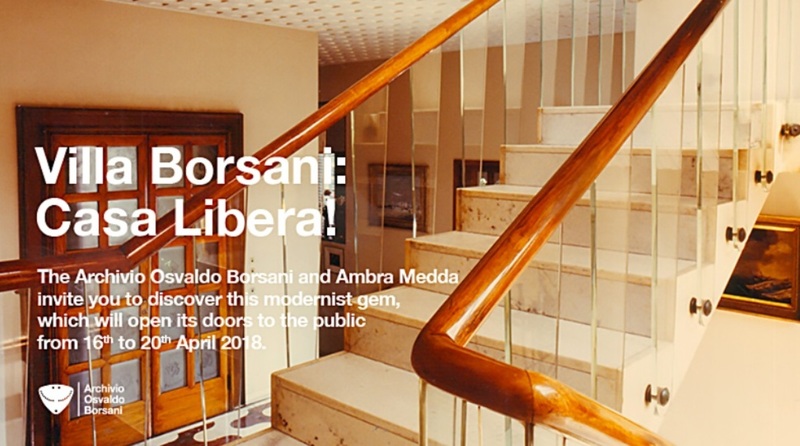 In anticipation of this expansive exhibition, the Archivio Osvaldo Borsani has invited Ambra Medda to curate a special preview at the Villa Borsani during Salone del Mobile; an unprecedented chance for the international design community to glimpse the private world of an influential yet unsung figure of design history. 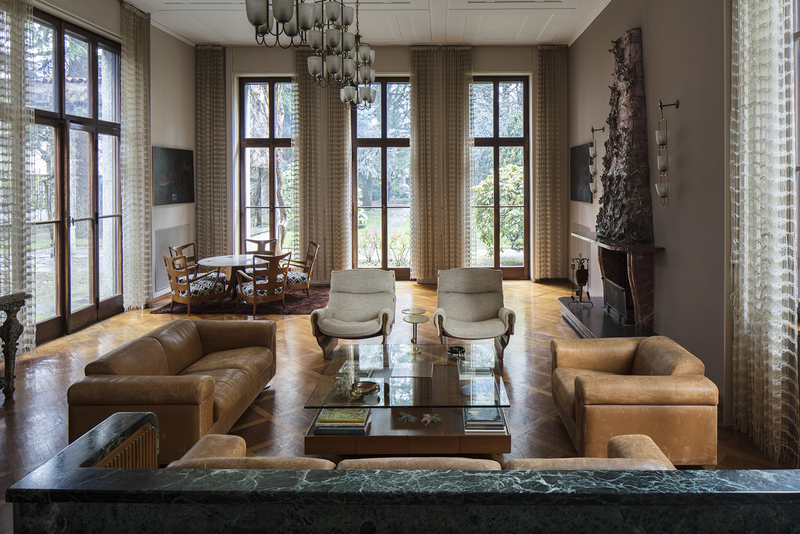 The Villa, set within 3,000 square meters of gardens, is a rare and immaculately preserved example of Borsani’s richly layered modernism. Yet, surprisingly it has been unoccupied for nearly a decade and will be brought to life through surprising yet considered elements. Villa Borsani: Casa Libera! 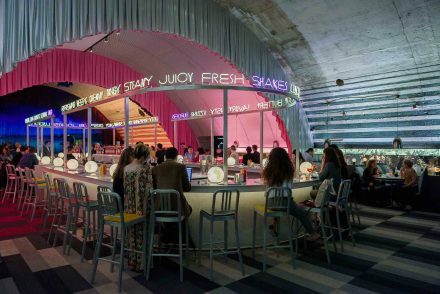 is envisioned as a celebration of a modernist jewel and a joyous rediscovery of a place suspended in time. 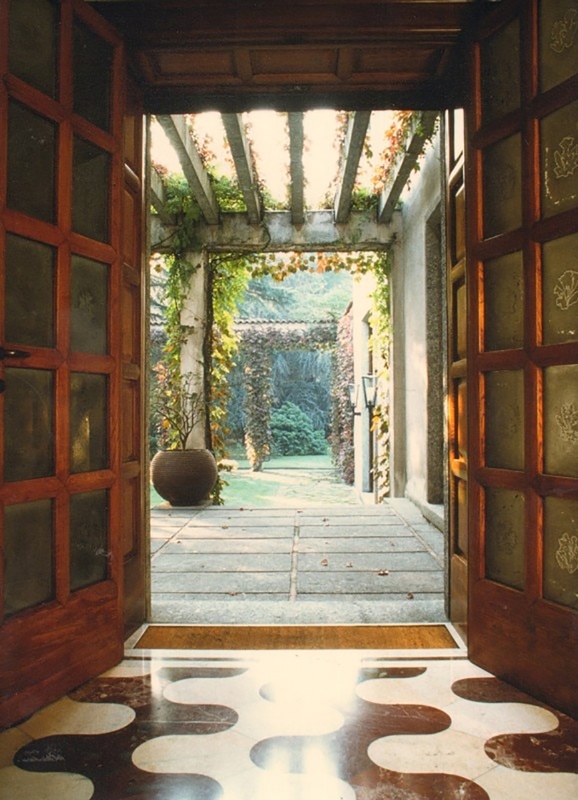 The title itself, with its distinctly Milanese connotations, alludes to a feeling of possibility and a chance for people to gather in an unexpected place; not only finding themselves in the historic Villa, but also within the larger setting of Varedo. Casa Libera! 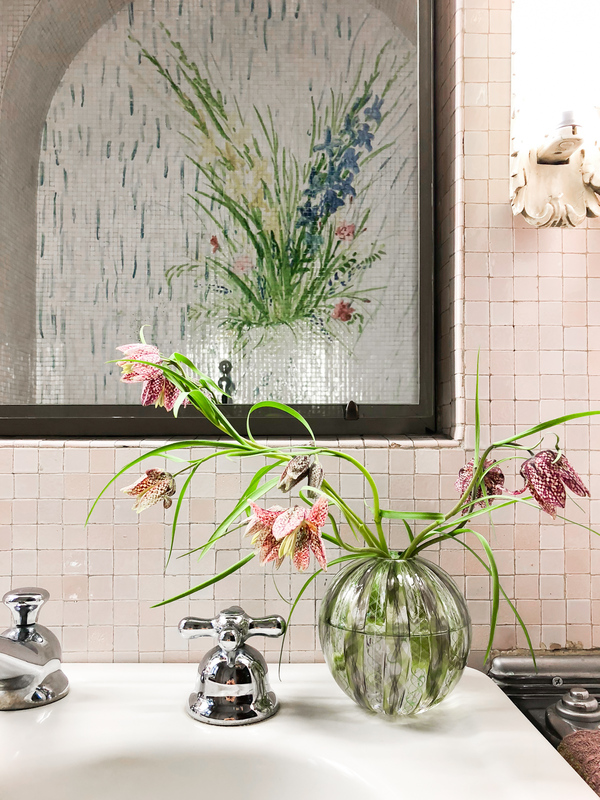 captures the welcoming atmosphere Ambra seeks to create through subtle and specific interventions including fragrance, sound, and floral arrangements. 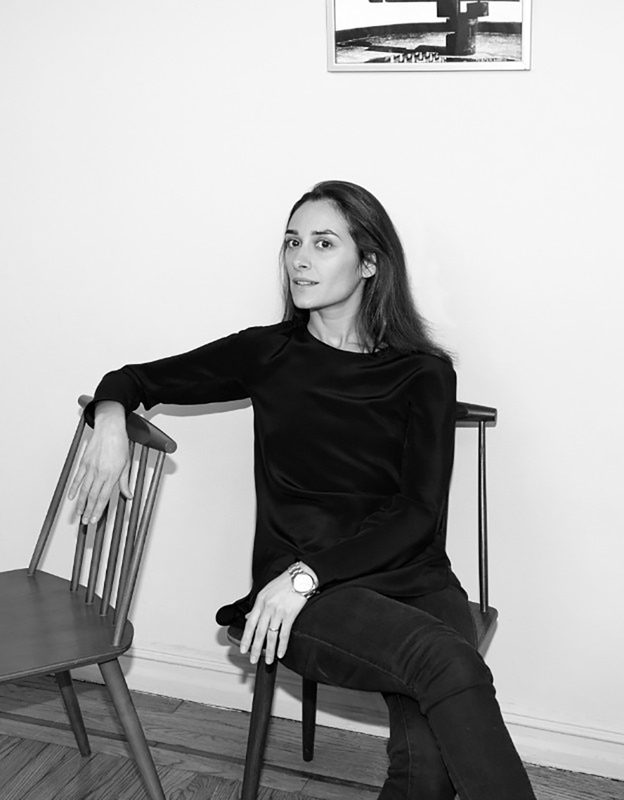 Ambra Medda – co-founder of Design Miami, trustee of the Design Museum in London and a pivotal figure in the recent explosion of interest in collectible modern and contemporary design – has worked closely with the Borsani family as a consultant for the Salone opening, selecting both professional sketches and correspondence, as well as everyday objects, to put on public display. Ambra will collaborate with Auckland-based creatives including artist Harry Were, florist Sophie Wolanski, and the multi-talented stylist Katie Lockhart, to imbue the still house with vibrancy and soulfulness. 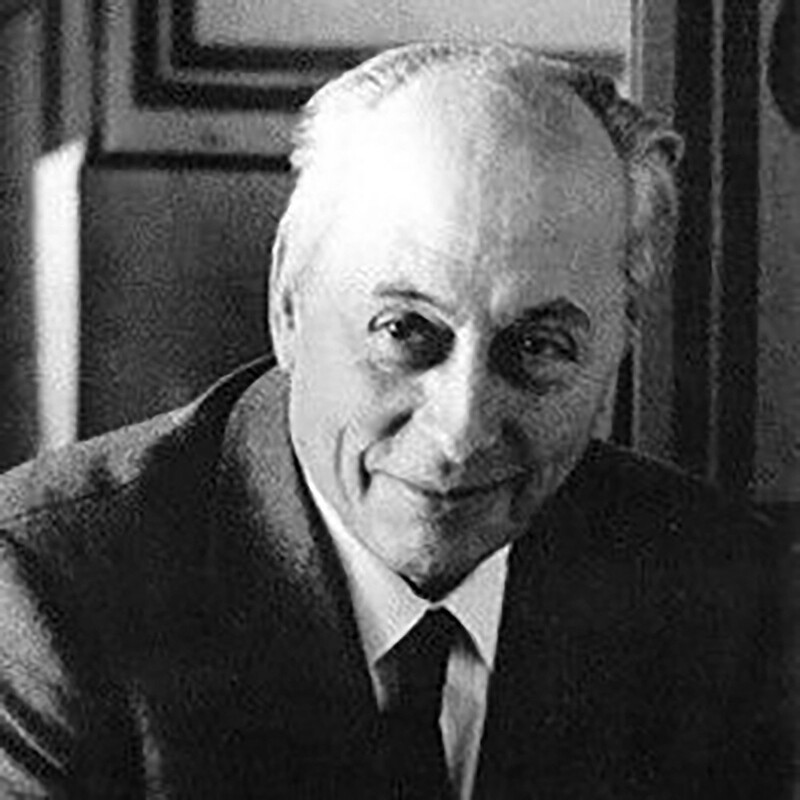 Osvaldo Borsani was a visionary figure of Italian twentieth-century design; an architect, designer, and entrepreneur who transformed his father’s furniture atelier into an international brand, co-founding Tecno in 1953 with his twin brother Fulgenzio. They developed a new productive formula based on two tenets: ‘an original idea’ and ‘fulfilling a need’. 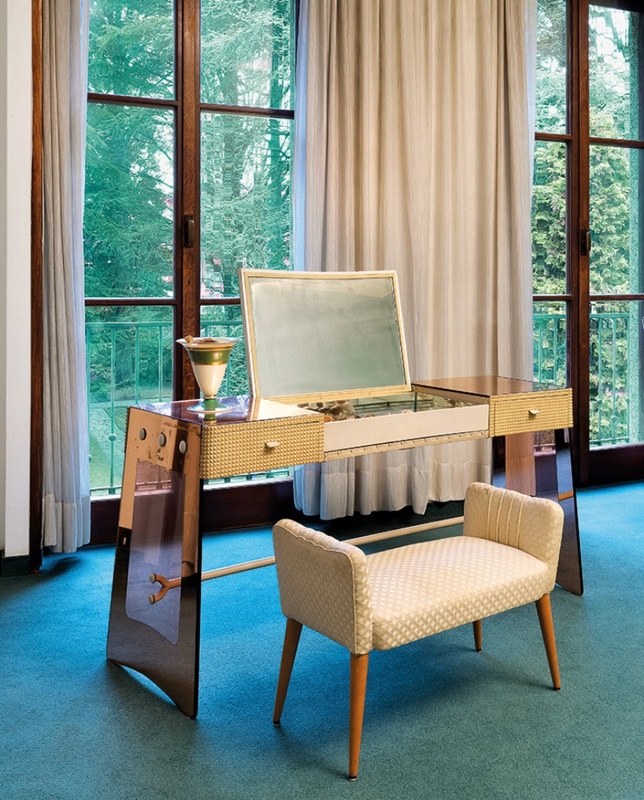 Osvaldo was the son of a cabinetmaker and he trained as an architect in Milan in the 1930s, when the city was a centre of technological advancement and flourishing artistry, with the economic momentum to push both at speed. 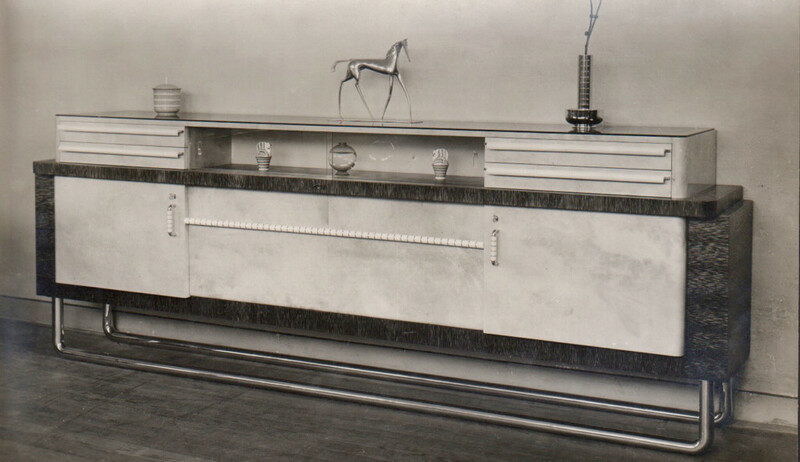 He was a pioneer of industrial design, with an approach that combined artisanal knowledge with technical innovation, and was in constant pursuit of the perfect balance between engineered utility and aesthetic beauty. The extensive archives, housed on the grounds of the Villa, are painstakingly catalogued, and contain thousands of documents including scale drawings, watercolors, photographs and letters spanning the fifty years of Borsani’s career. 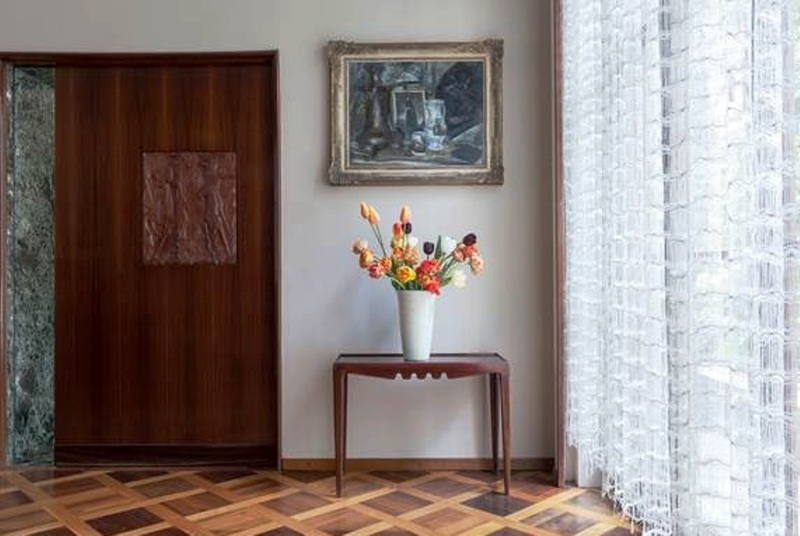 His curiosity was endless, and demonstrated by his sheer creative output; the Osvaldo Borsani Archive holds drawings of a multitude of designs including gates, carpets, stained glass windows, cradles, telephone holders, and beehives. 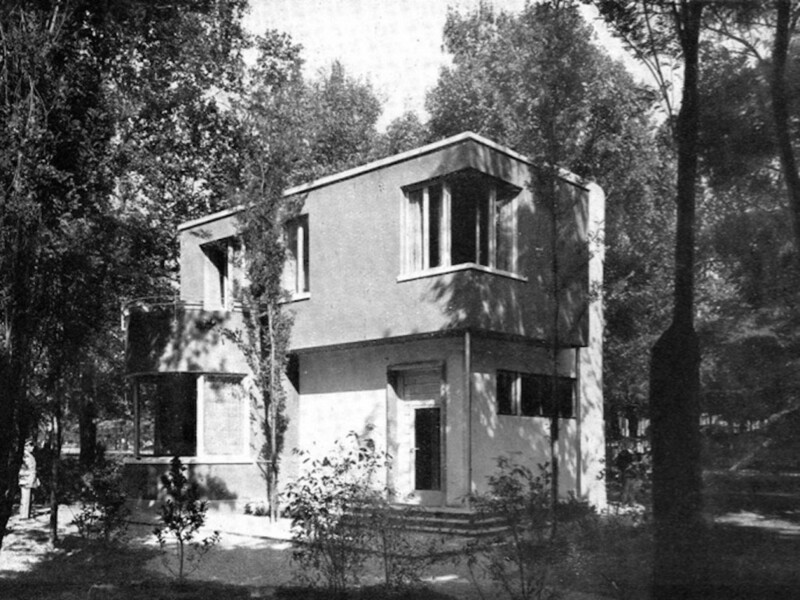 The seeds of Borsani’s philosophy had been sown when he designed and built the family villa in Varedo in 1939, shortly after graduating from the Politecnico di Milano. Completed in 1943, the brick-and-stucco house comprised rigorously articulated volumes in a clearly rationalist structure. 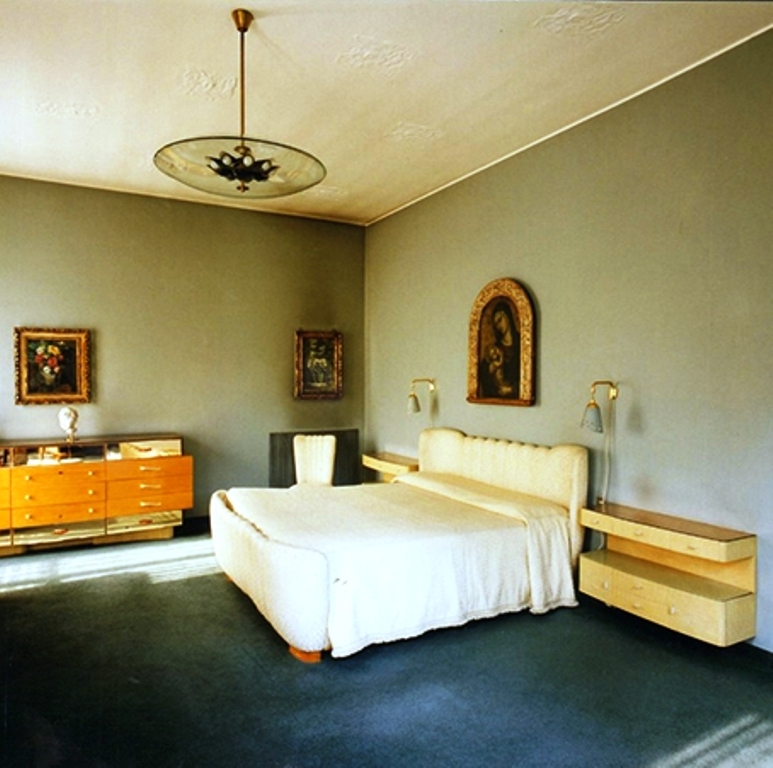 To see Villa Borsani is, in fact, to understand Osvaldo Borsani’s place in Italian design history. 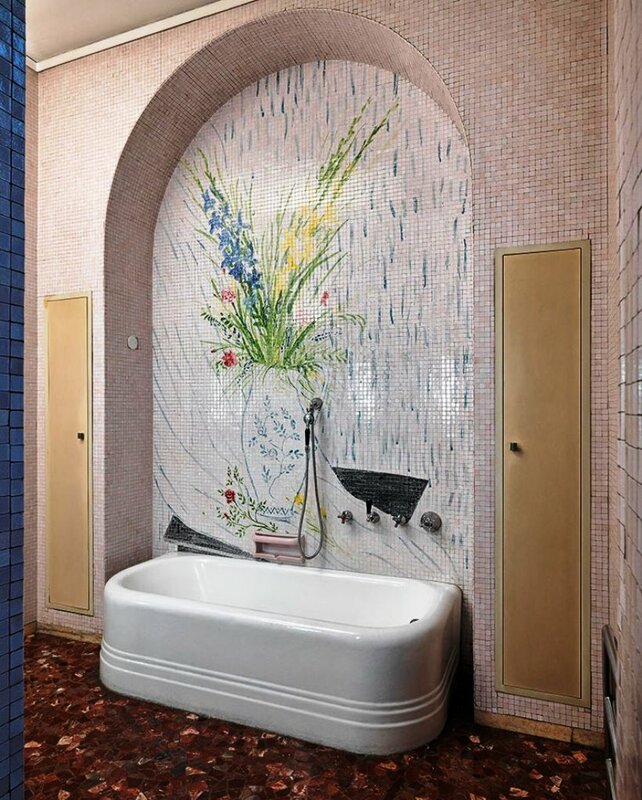 Driven by a life-long philosophy of collaboration, Borsani commissioned artists including Adriano Spilimbergo, Fausto Melotti, Lucio Fontana, Guglielmo Ulrich and Agenore Fabbri to create unique pieces—ranging from mosaics to wall sconces—to embellish the Villa’s interiors. 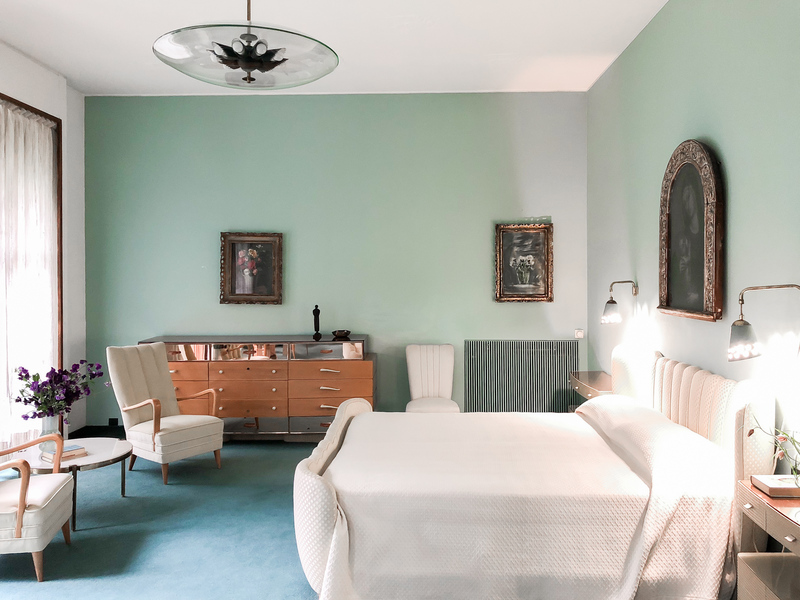 These original features remain beautifully preserved to this day, and are manifestations of the extraordinary exchange of ideas between Italy’s brightest minds in art, architecture, and design during the post-war era. 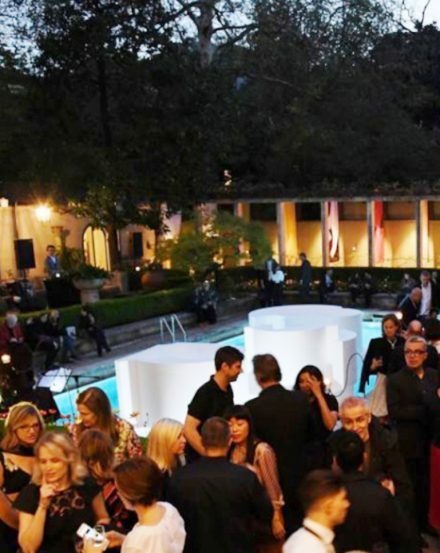 The villa became the epitome of sophisticated modern living, much admired and widely emulated. 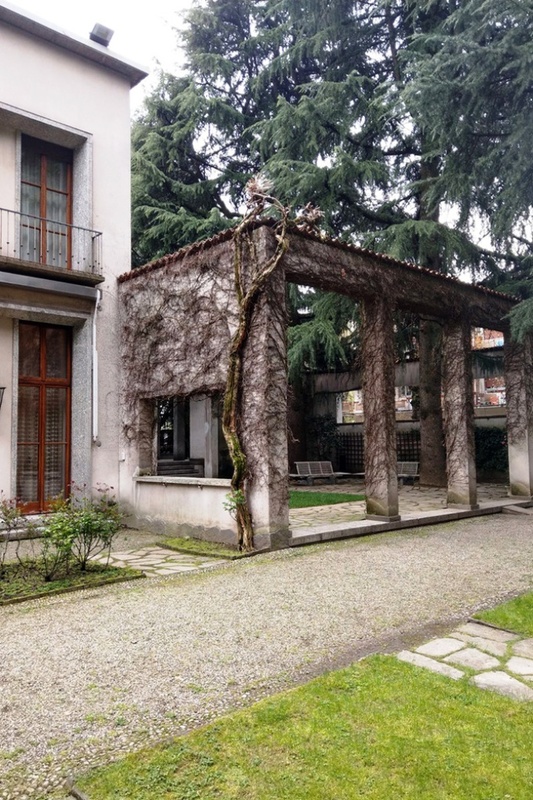 Villa Borsani, a rare example of Osvaldo Borsani’s architecture, is located in the small town of Varedo, just north of Milan. 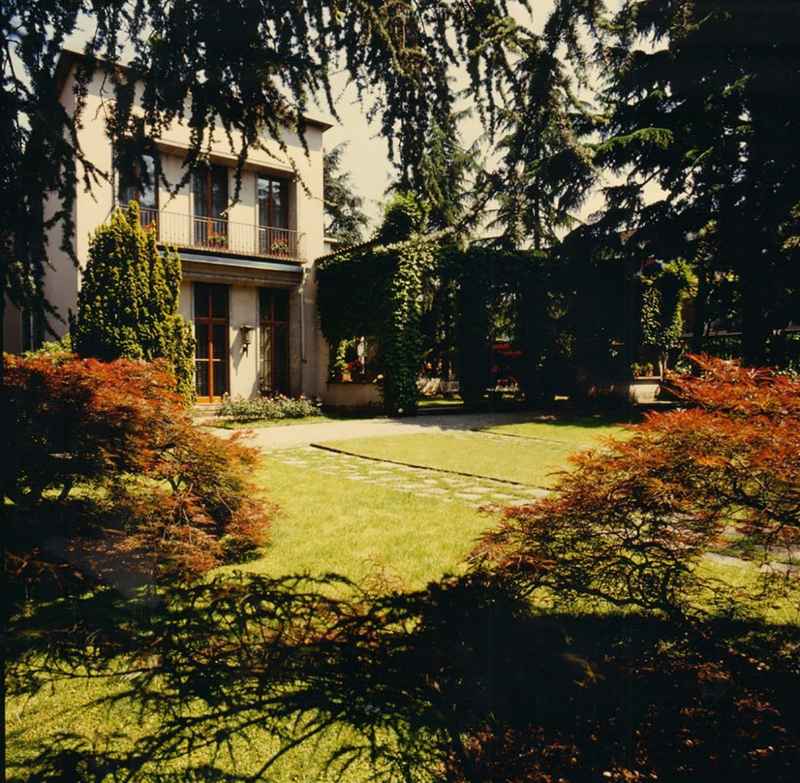 Originally conceived as a home for his brother’s family, the Villa was occupied by three generations of Borsani’s until 2008. 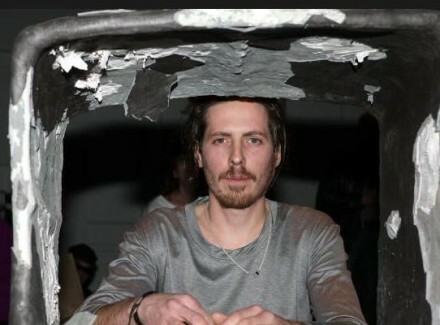 It has sat unoccupied since the final resident, Carla Borsani, wife of Fulgenzio, the designer’s twin brother and business partner, passed away five years ago. 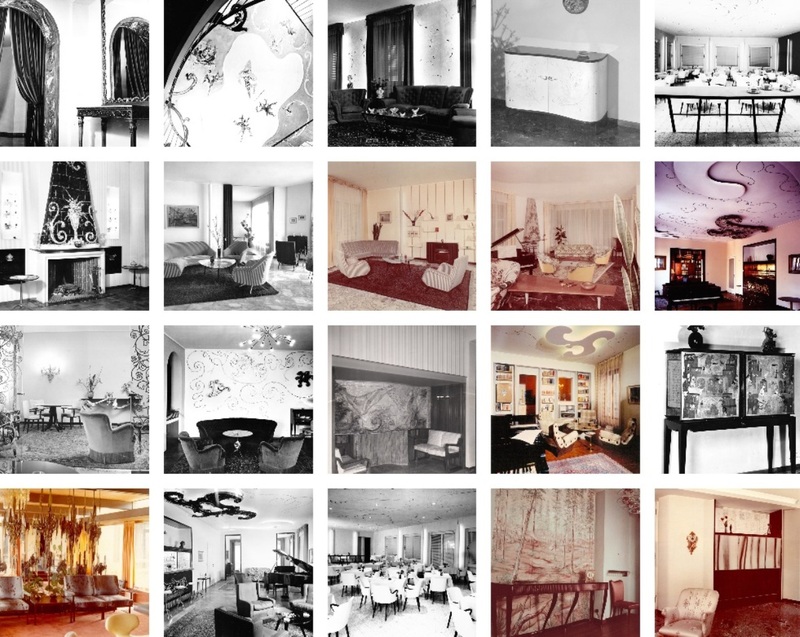 Because the home has remained within the family from the beginning, very little has changed over the last 65 years. 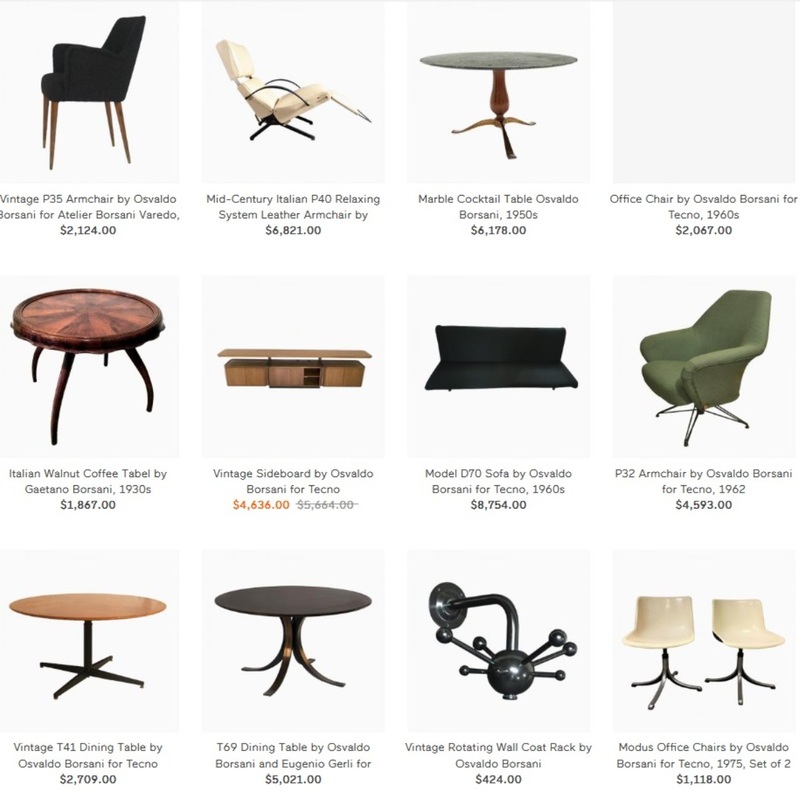 And for the most part, this treasure of design history is unknown and unseen it offers a fascinating blend of styles bridging the two complementary approaches that defined Italian design in the 20th century: traditionalism and modernism. 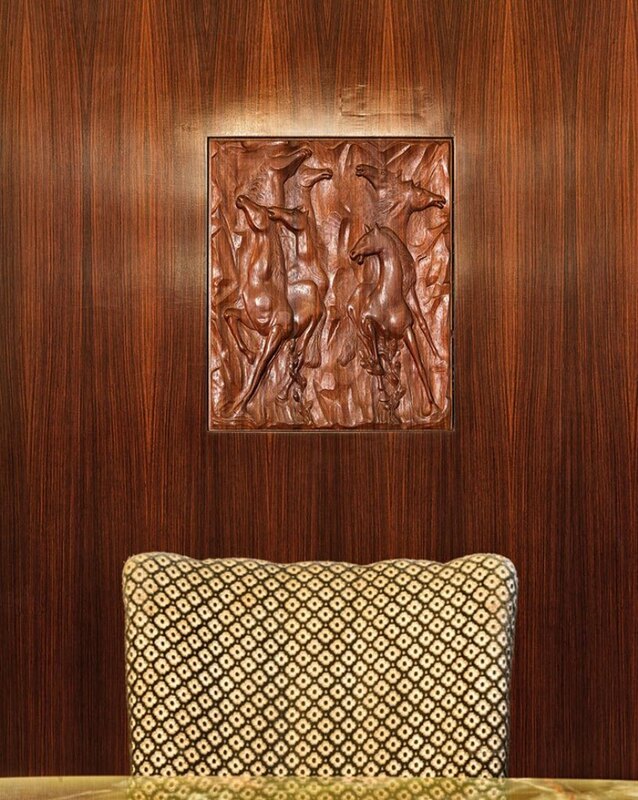 Osvaldo was born in 1911 to a family of highly respected furniture makers. 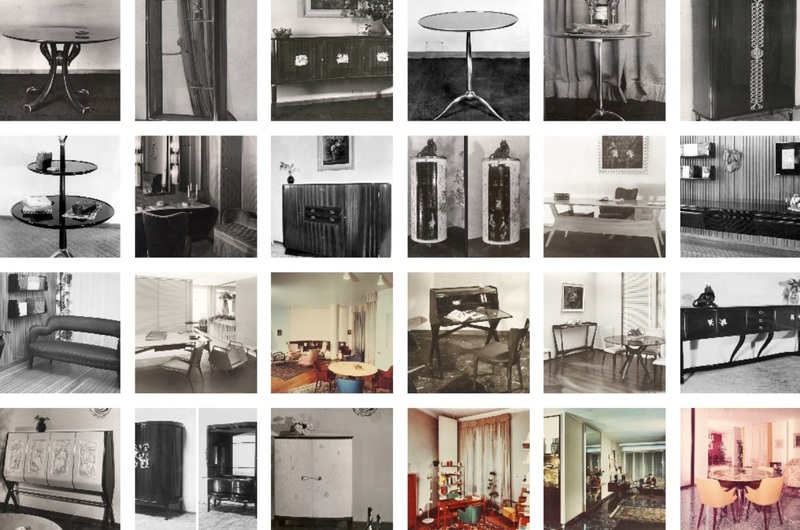 His father, Gaetano, owned and operated a well known company—Atelier di Varedo—that crafted sophisticated, bespoke furnishings and interiors, typically in an Italian version of the Art Deco style. Gaetano expected his sons to continue in his footsteps, so, as a teenager, Osvaldo worked in the family business while attending art school. 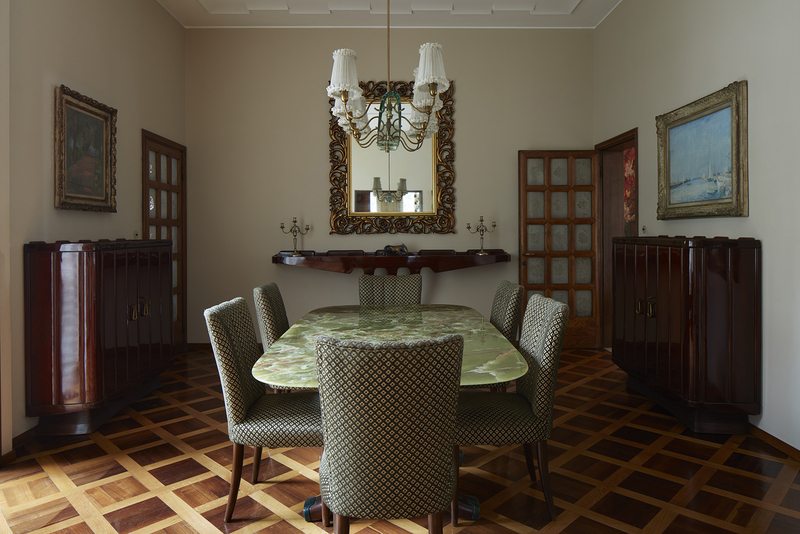 The Borsani family lived a genteel upper-middle class life, and Osvaldo was well educated. 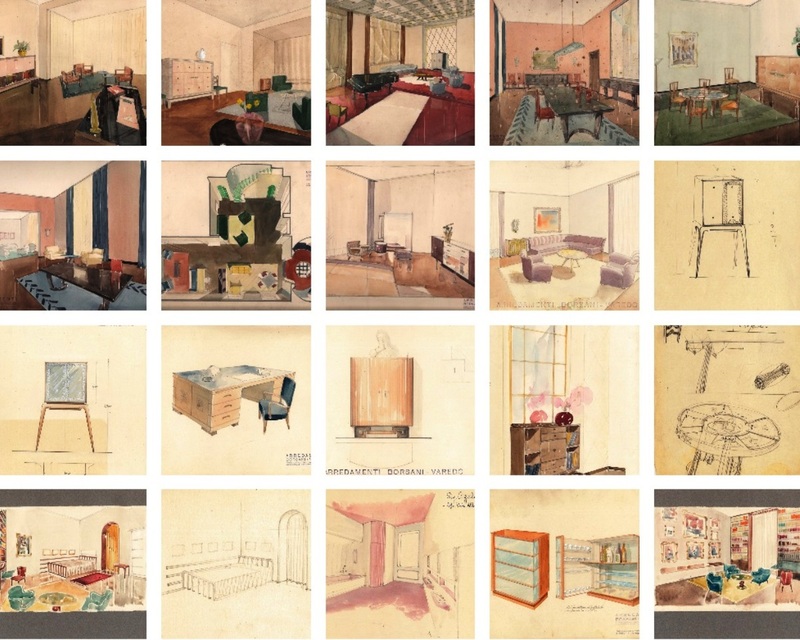 In the late 1920s, this education exposed him to the modernist movement sweeping through Europe, and he frequently traveled north to see the work of his heroes, such as Le Corbusier, Marcel Breuer, and Walter Gropius. 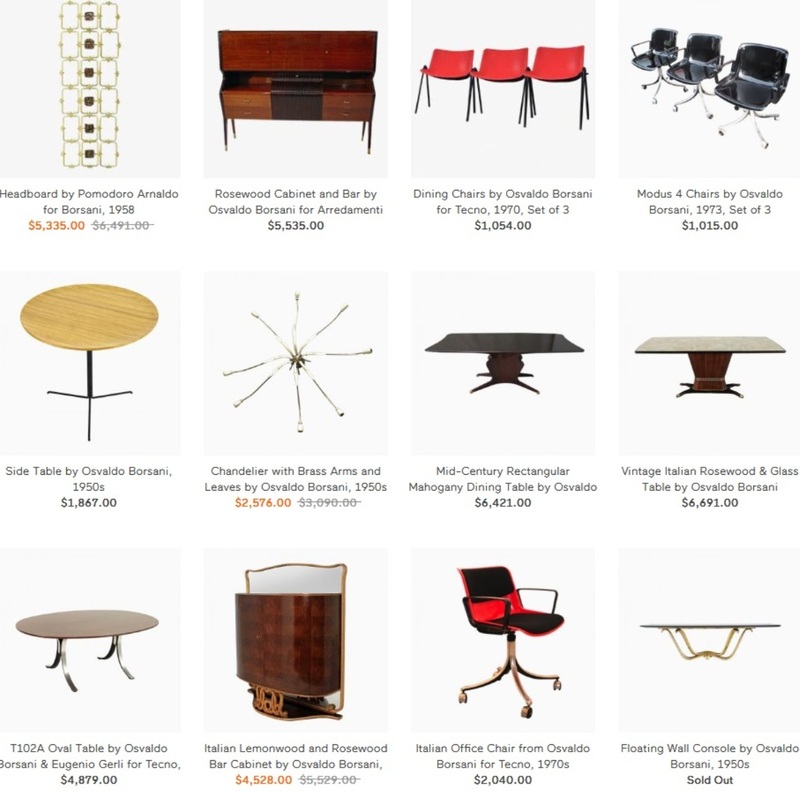 These encounters with modernism set him on a path that ultimately changed the way his family produced furniture, and positioned him as one of his country’s earliest and strongest advocates for progressive design, both aesthetically and technologically. 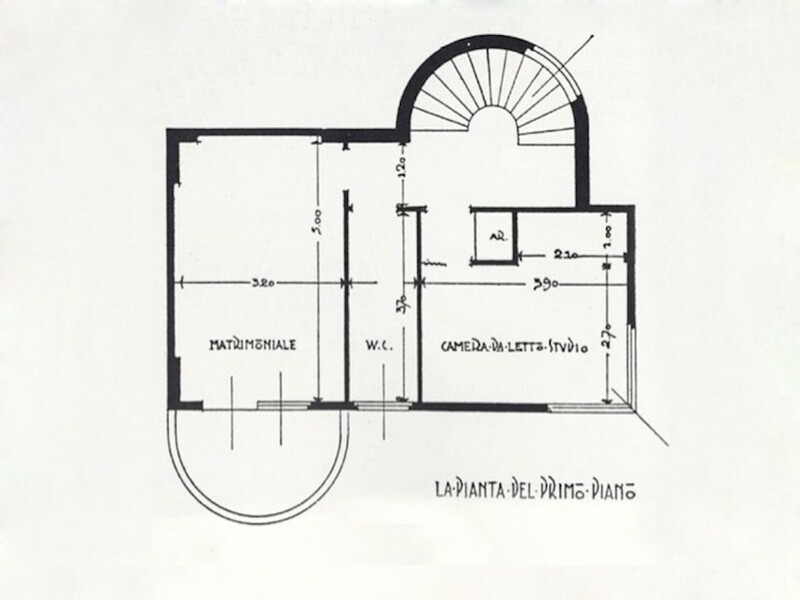 In 1933, while studying architecture at the Politecnico di Milano, Osvaldo was awarded the silver medal at the fifth Triennale exhibition for his rationalist-inspired project, Casa Minima, an architectural proposal for the future of housing. This marked a substantial turning point in the young designer’s career: the beginning of his rise to fame. 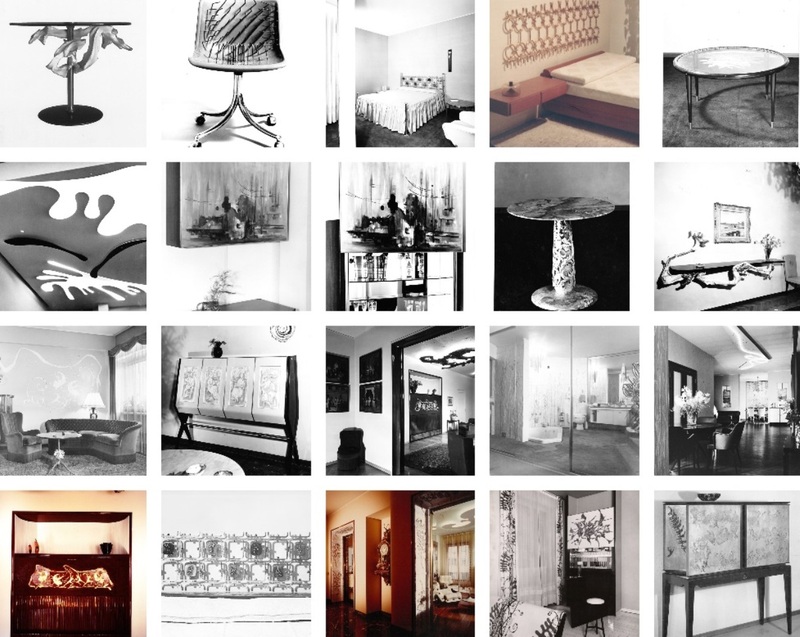 Following this success at the Triennale, Osvaldo was given greater influence over the family business and greater liberty to experiment with avant-garde design ideas. 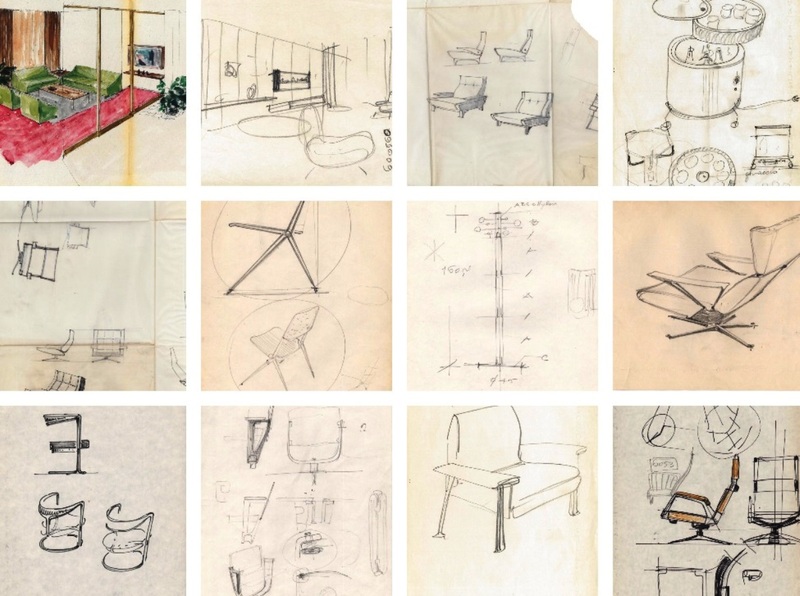 Seeking a new contemporary design language during these years (just before and after WWII), he invited a number of artists to collaborate with him on interior and furniture designs. These artists—including Lucio Fontana, Agenor Fabbri, Fausto Melotti, Roberto Crippa, Aligi Sassu, Arnaldo and Giò Pomodoro, and others—would become his lifelong friends as well as some of Italy’s most celebrated creative talents of the 20th century. 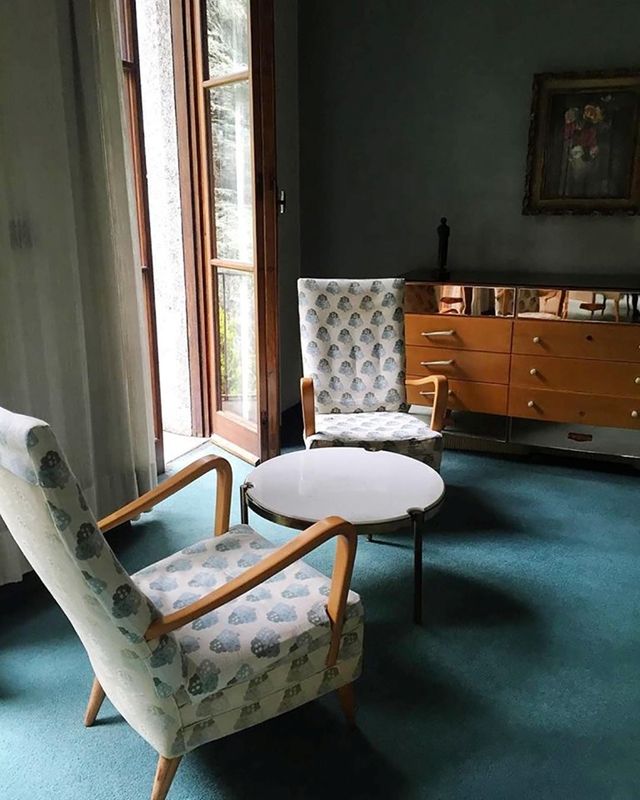 Osvaldo designed and built Villa Borsani between 1939 and 1945, precisely during his transitional phase, moving away from his father’s traditionalism and toward the new modernism. As a result, both the interior and architectural designs include characteristics of both styles, while celebrating a particularly Italian, highly civilized lifestyle. 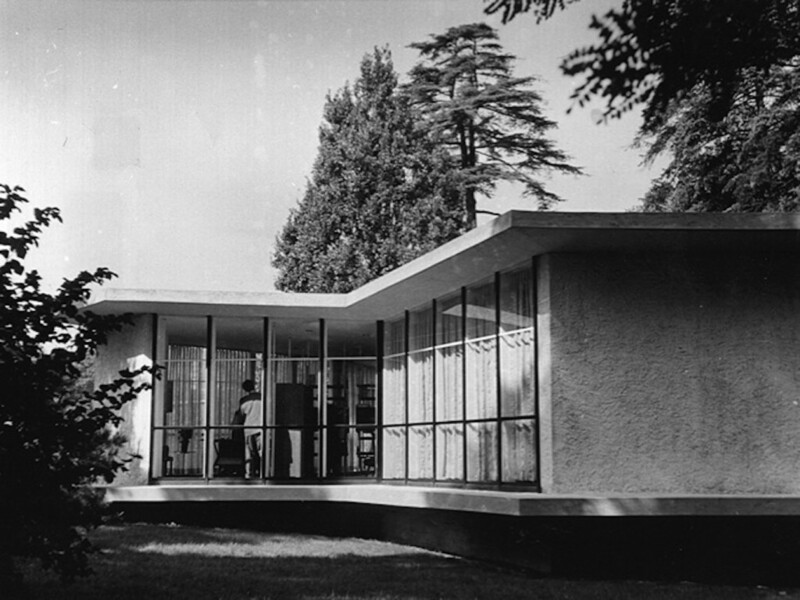 Intended to be a multi-generational home for Gaetano, his wife Maria, and the twin sons (who were all still working together in the family atelier), Villa Borsani is generously proportioned: an 800-square-meter, two-story house set within 3,000 square feet of gardens, enclosed within a high, ivy-covered wall. 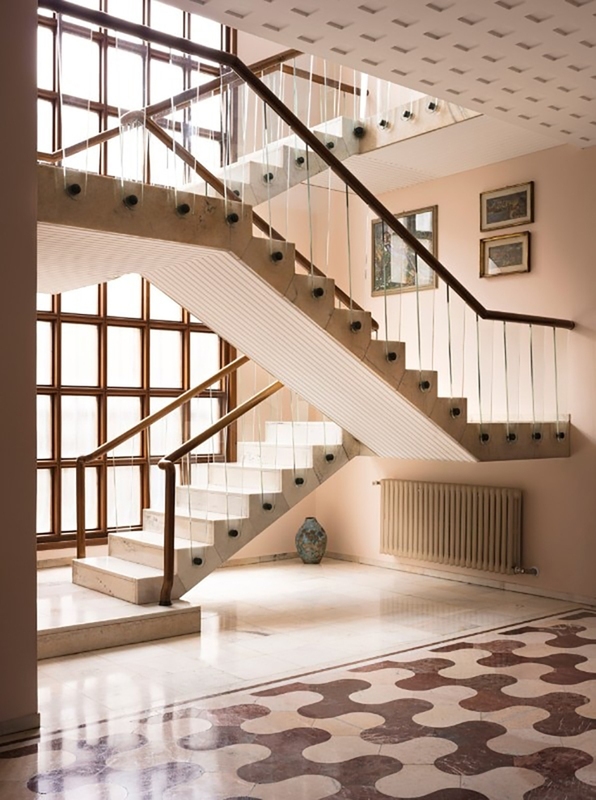 One of the most striking features of the interior is the crisscrossing marble staircase, which pairs a solid walnut handrail with tapered support slats made of tempered glass. Even though he did not shy away from layered embellishments in the interior of his eponymous villa, Osvaldo nevertheless achieved an effortless airiness in keeping with his progressive tendencies. 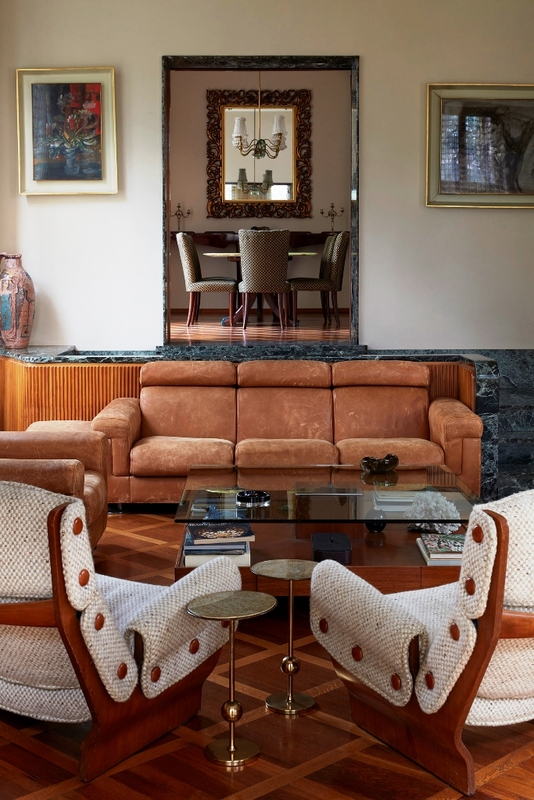 The living room testifies to the roots and relationships most formative to Osvaldo’s prolific design life, and the multi generational project that is Villa Borsani. 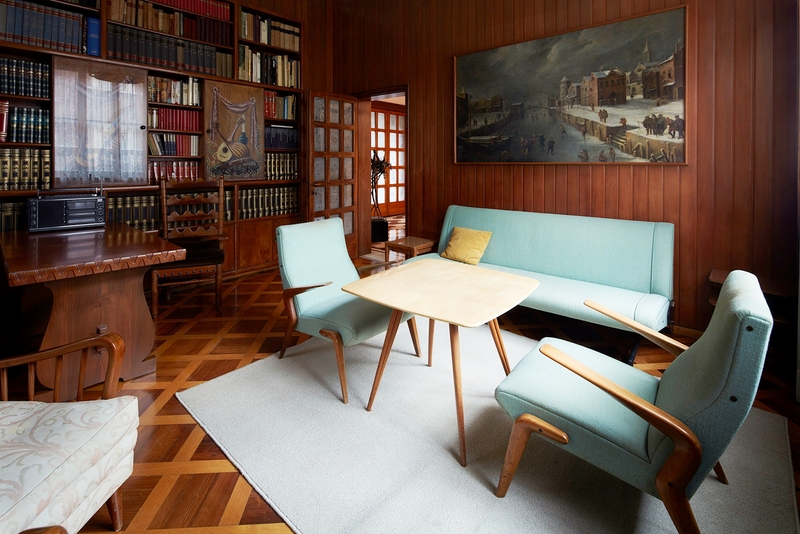 Occupying the center of the living room is a grouping of furniture that was added decades after the house was built, all produced by Osvaldo’s manufacturing company Tecno: a set of his P110 chairs, designed in the 1960s; a sofa and armchairs designed by Valeria in the 1970s; and a glass and wood coffee table designed by Valeria’s husband, Marco, also in the 1970s. In a corner of the room is a marble table, inlaid with quirky playing-card motifs, by artist Marcello Piccardo, surrounded by six handcrafted walnut chairs upholstered in black-and-white striped fabric. 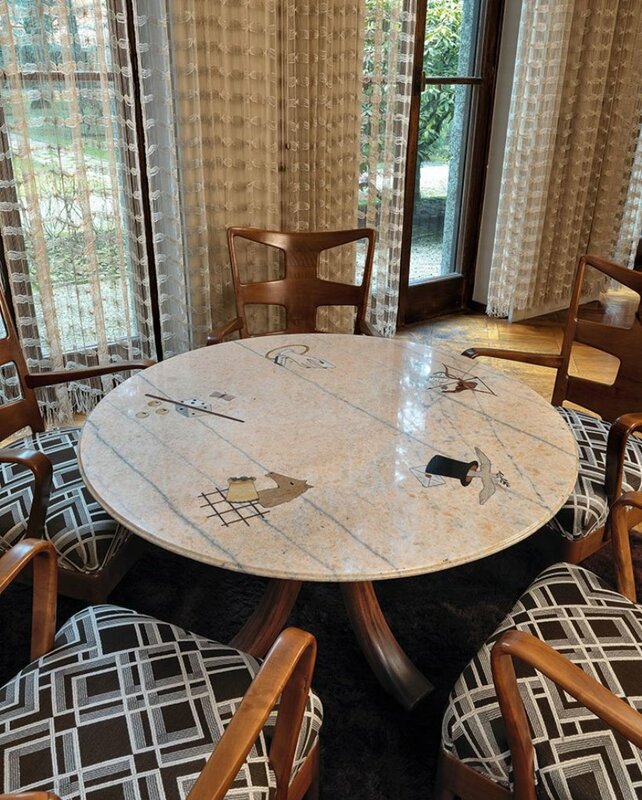 This set was designed by Osvaldo and produced by the family’s atelier in the 1940s. 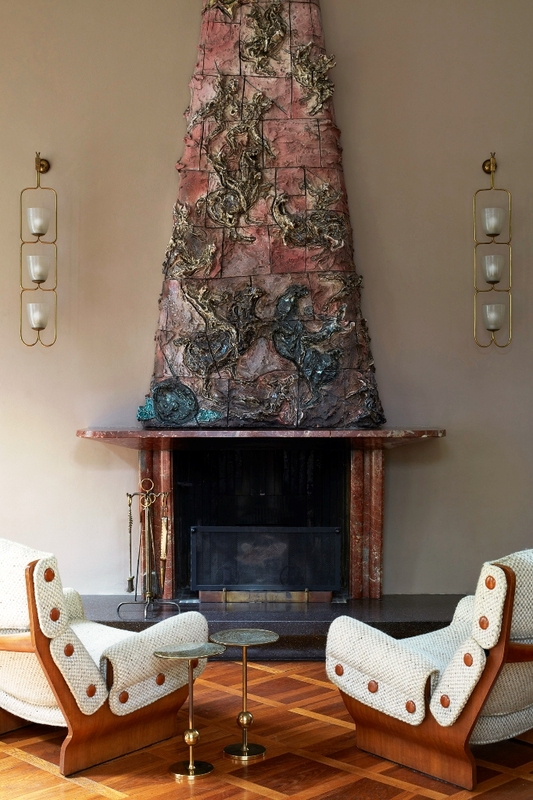 On the opposing wall, you can’t miss the incredible ceramic fireplace, featuring hand-formed mythical warriors on horseback, created in 1948 by longtime friend and collaborator, the ever-original Lucio Fontana (whose interventions can be found on a number of furniture pieces in the house). 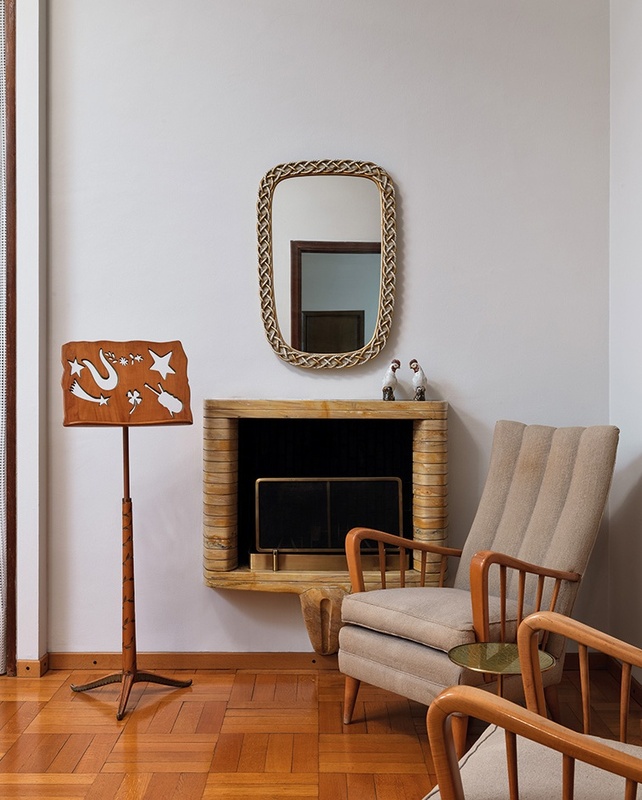 The simple but elegant lighting fixtures, on the ceiling and framing the fireplace, were created by another perennial collaborator, Dutch-Italian architect Guglielmo Ulrich, who has recently been gaining traction on the collector market. 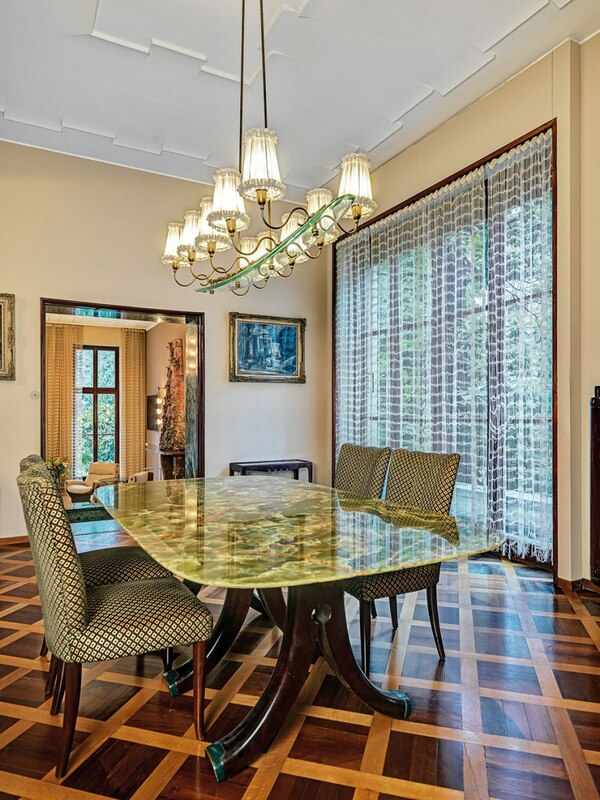 The dining room, with a Brazilian onyx table and set of chairs designed by Osvaldo Borsani. 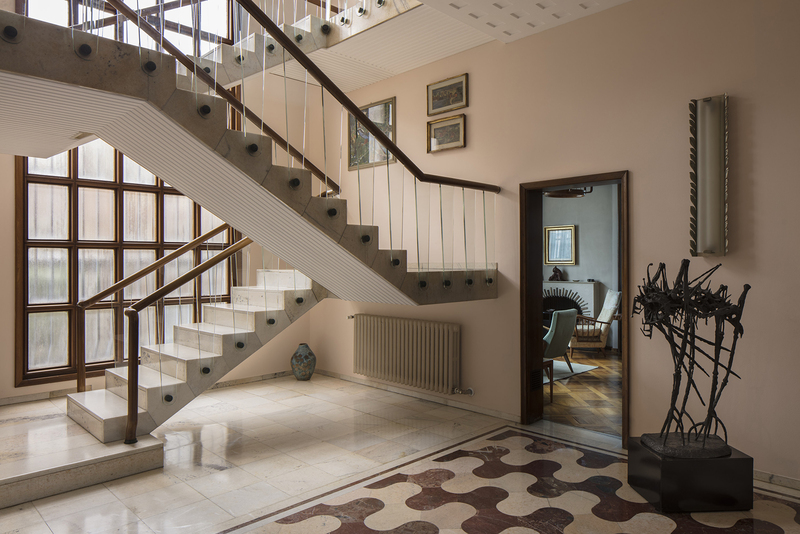 The upstairs hallway, with Osvaldo Borsani’s 1961 ‘At 16’ coat hanger and a painting of Carla, his brother Fulgenzio’s wife, by Alberto Tallone. 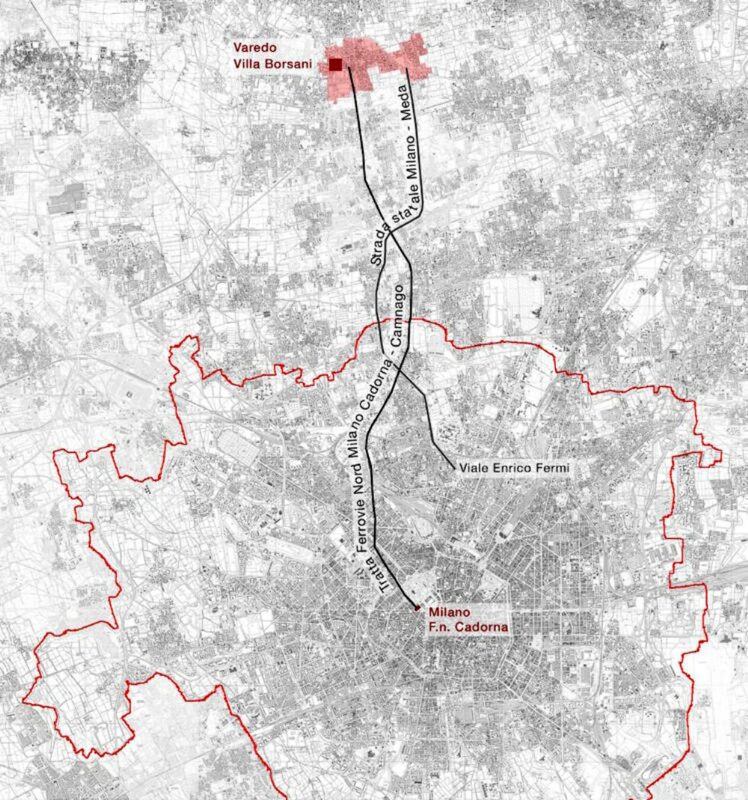 Villa Borsani is reachable by train from Cadorna Station in Milan with Ferrovie Nord taking the line S4 direction Camnago to Varedo, in about 20 minutes. 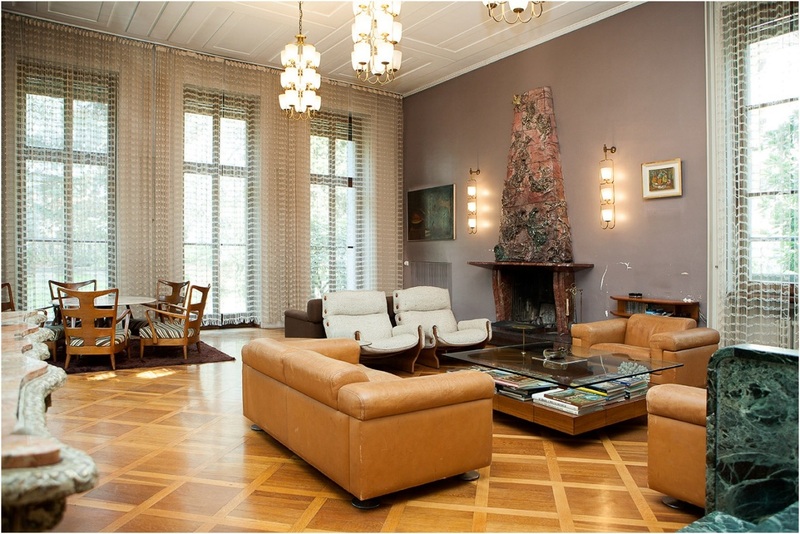 Tours of Villa Borsani can be arranged from Monday 16 April to Friday 20 April. 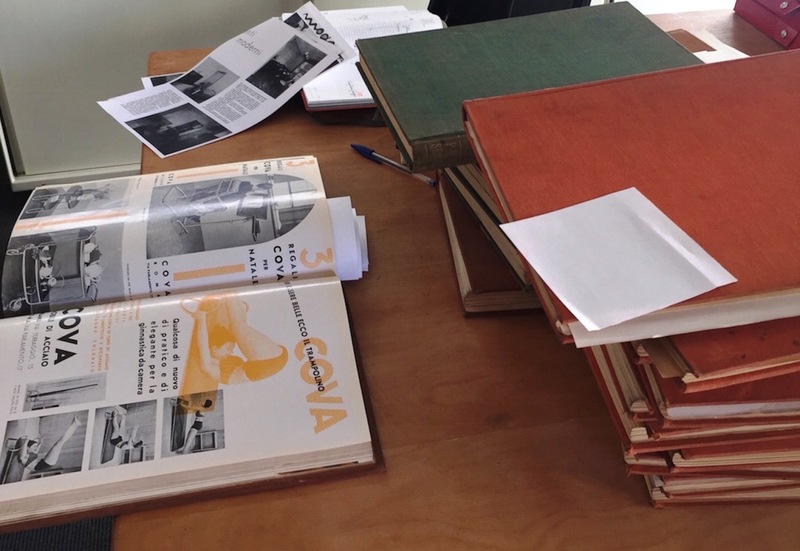 Encompassing thousands of documentary materials—photographs, sketches, gouaches, blueprints, business records, and correspondence — the Archive previously resided in a small converted office space, just one crowded room in the headquarters of a now defunct chemical company a few blocks from the villa. 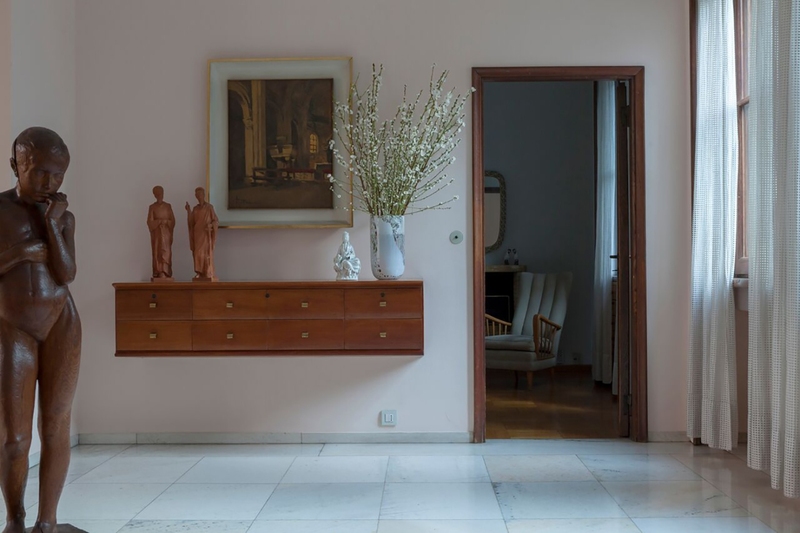 In readying the property for public access, Tommaso Fantoni—an architect in his own right who worked for years in the office of Norman Foster before recently opening his own practice, Tomo Architects, in Milan — decided to move the substantial Borsani Archive to the Villa’s garden house. It also contains the epistolary testimonies of Borsani’s relationships with the most celebrated artists, architects, and exponents of Italian culture of his time. 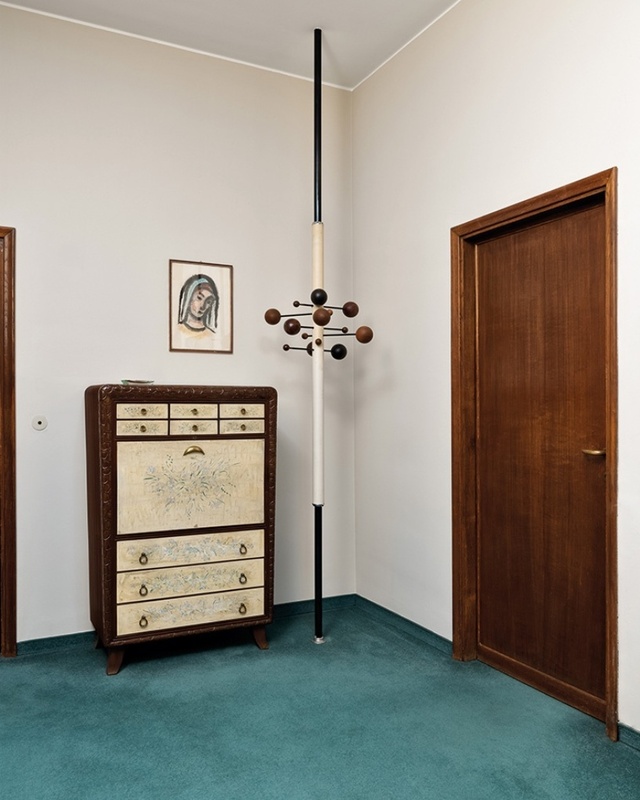 The mission is to coalesce all of the family’s holdings within the compound as a means of assisting students, academics, and collectors interested in researching Borsani’s work, while encouraging the world to remember his significance. This project provided Tomaso with a renewed opportunity to reflect on his family’s legacy and the influence his grandfather has had on his own practice. 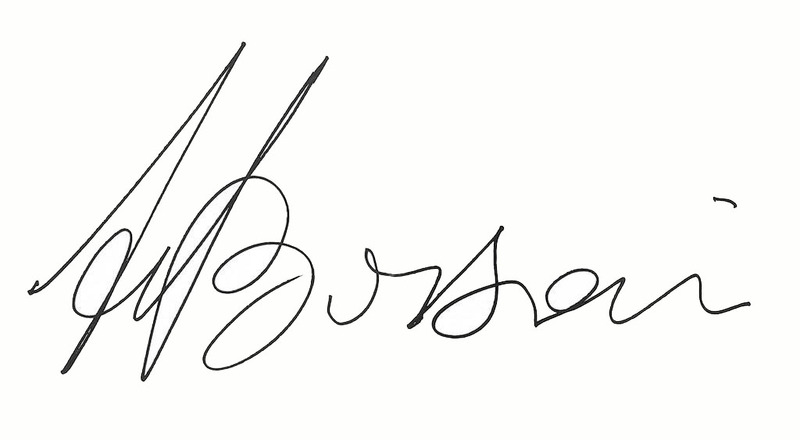 The Archivio is the only institution authorized to certify the authenticity of Osvaldo Borsani’s work. The A.O.B.’s board of directors includes Valeria Borsani Fantoni, Marco Fantoni, Tommaso Fantoni, and Federico Borsani. 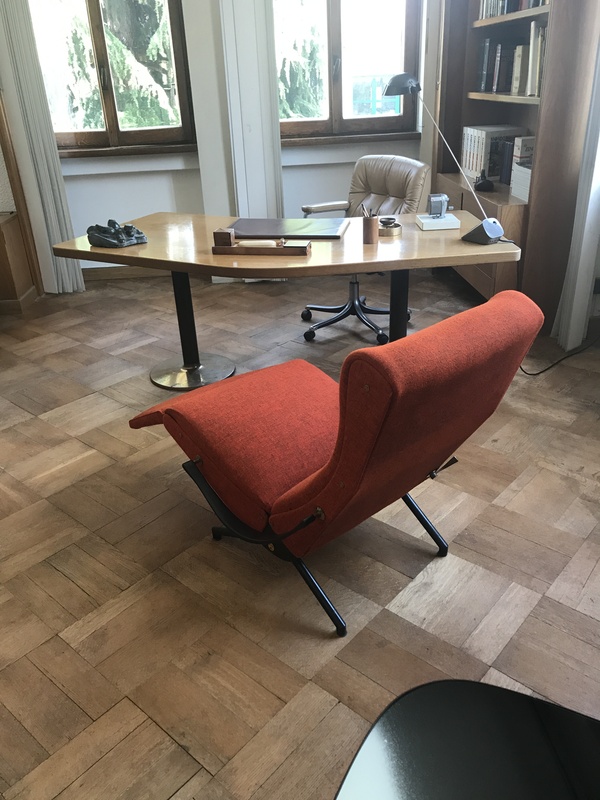 While Osvaldo played a vital role in the formation of modernism in Italy, his true legacy lies in the way he balanced rationality and elegance, always with the aim of producing the best possible quality. Achieving such timelessness should be the goal of every designer. 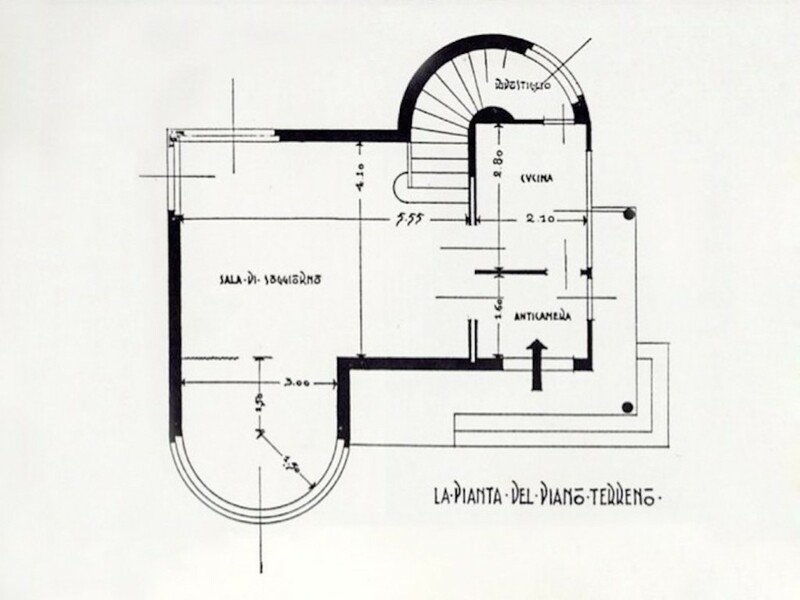 Osvaldo Borsani signs his first project, Casa Minima, for the V Triennale in 1933: he is 22 years old, he is still a student and his talent begins to manifest. 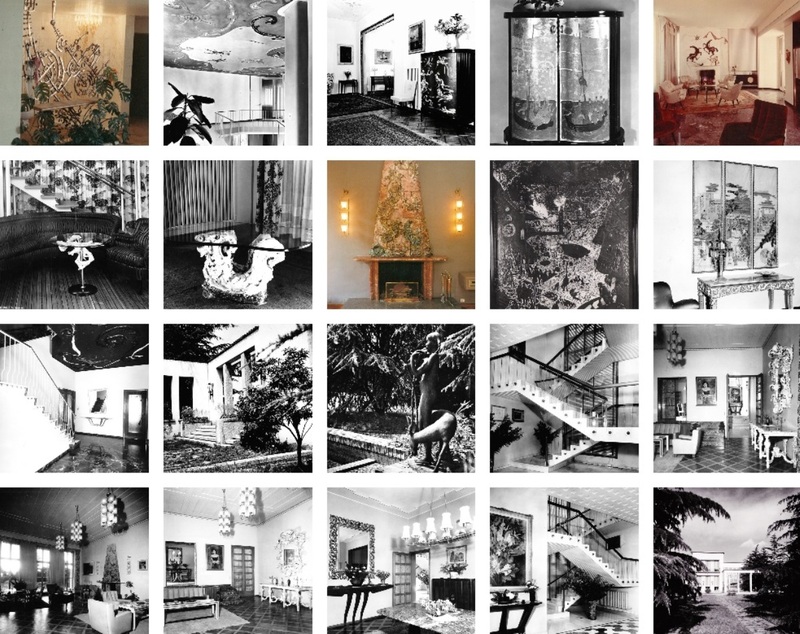 From then on other Triennials, prestigious residences, the family villa, the production and exhibition sites for Tecno. Careful, always, to anticipate the changing taste of the times so much to create buildings that live, today as then, extremely current. 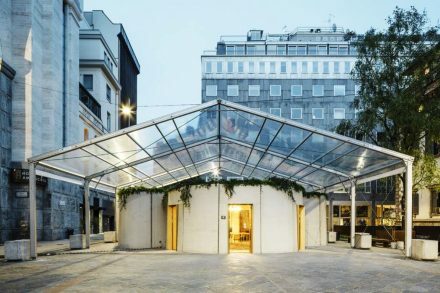 For Osvaldo Borsani the inhabited space – both residential and professional and of public waiting or passage – is a living space, where functionality and aesthetics feed each other. In this context contemporary art is willingly a component of furniture, while the knowledge of the artisan rides the technological drive by maintaining the attention to detail and making them breathe the power of innovation. 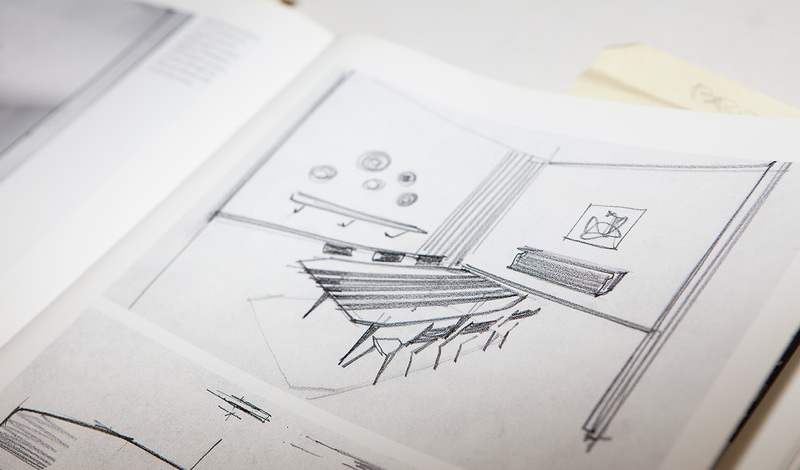 In the interior design, Borsani usually defines the environments up to the smallest detail. In fact, the drawings seem to represent an already accomplished reality: proof of their perfect correspondence with the photographic images of the completed works. The artisan knowledge, learned from the young Osvaldo Borsani in the years of the Atelier of Varedo, will constitute a constant throughout his career. Tecno, starting from its foundation in 1953, identifies the example of an industrial production that does not renounce artisan knowledge. The interpretation of technology and the transformation of an idea into a product as a distinctive and significant feature of Italian design. The passion of Osvaldo Borsani for the new frontiers of creativity has led him, since the post-war period, to forge strong bonds of friendship and to look for inspirational sources in avant-garde artistic experiences. 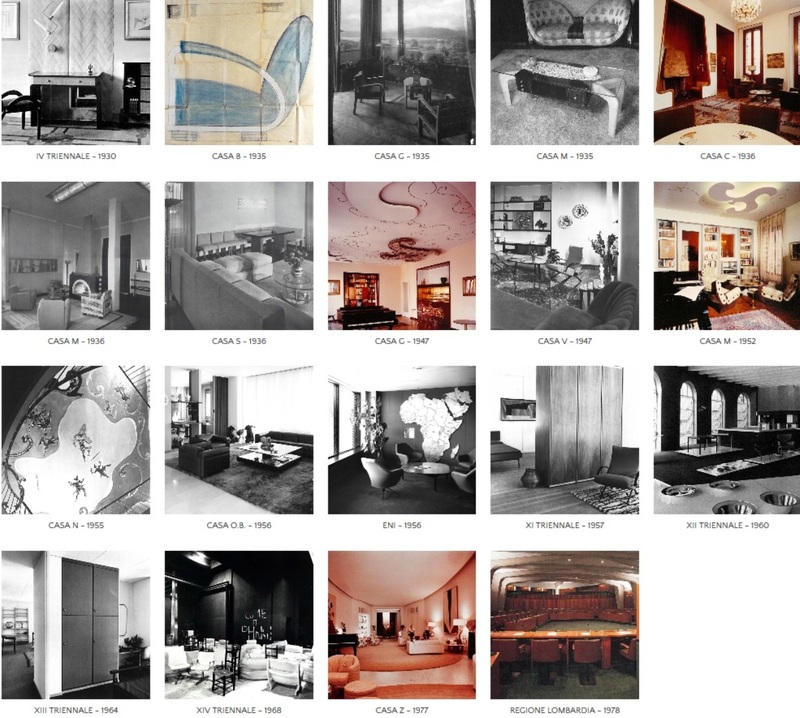 The 1920s in Italy are the “decade of transformation” for Italian architecture. Futurism is in fact exhausting its momentum and in its place, towards the middle of the decade, two new currents are taking hold. On the one hand rationalism represents the new, the “modern” in line with the European trends of functionalism. On the other hand the “scenographic” monumentalism is said to be strongly scenographic and aimed at transmitting to the masses the ideals of greatness promoted by the fascist regime. The 1930s in Italy are also called the ‘decade of contradiction’. On the one hand, urbanism, architecture, and decoration imposed by the regime’s rhetoric triumph. On the other hand, in contrast with the ideological alignment, completely new languages ​​and suggestions are made their way. In the figurative arts the new spirit is more readable: it is the era of Sironi and Carrà in Milan, of Casorati in Turin, of Scipione and Mafai in Rome, of Rosai and Soffici in Florence. 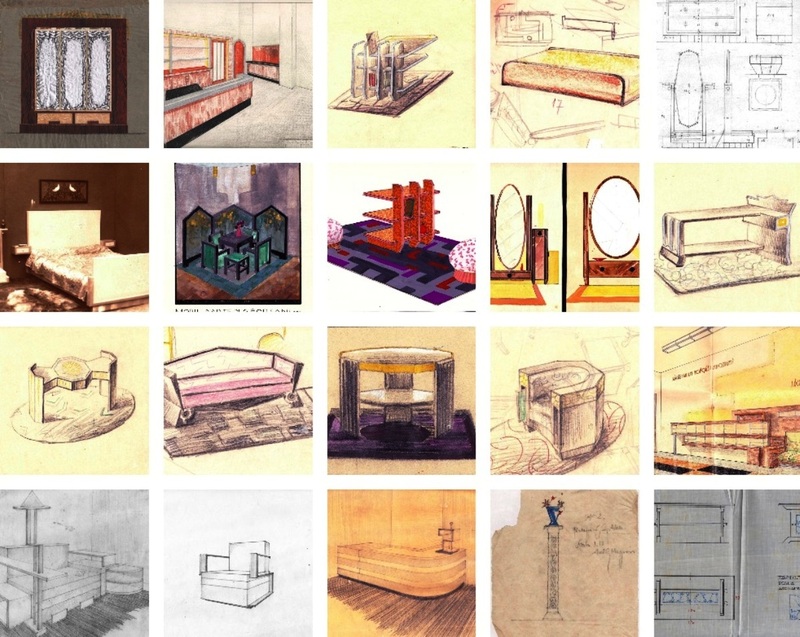 It is also the decade in which an idea of ​​industrial design is affirmed, the ‘beautiful reproducible’, which we see for example in Gio Ponti’s early works. 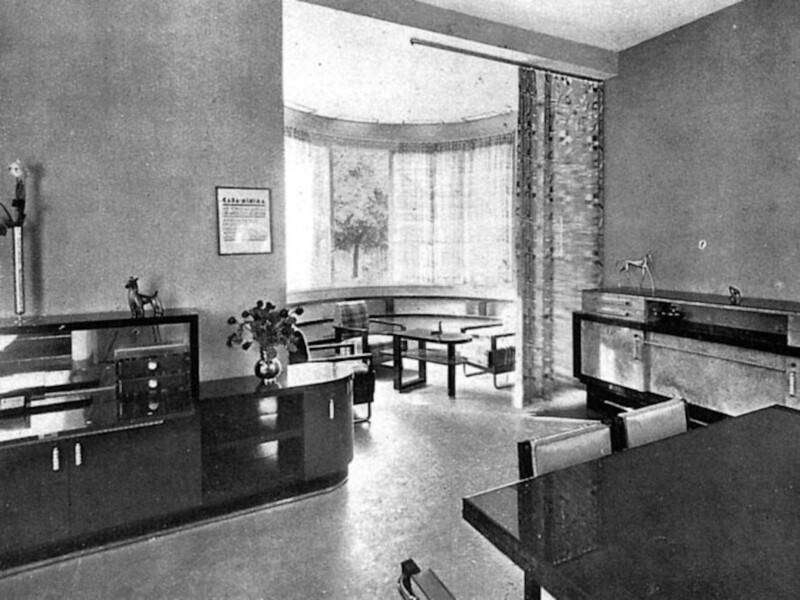 Osvaldo Borsani, at that time still a student, a mortgage with the Casa Minima for the Triennale di Milano in ’33 a full place among those protagonists who looked beyond the present. 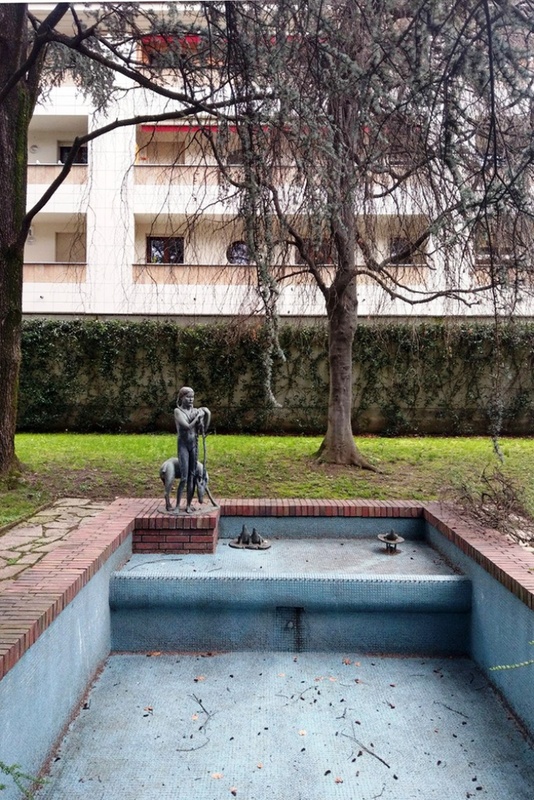 In Italy the forties can be defined, especially in architecture, the “decade of contrast”. The first part, in the middle of world war, is in fact still dominated by the language of the triumphal Rome so dear to fascism. The reference figure is Marcello Piacentini. 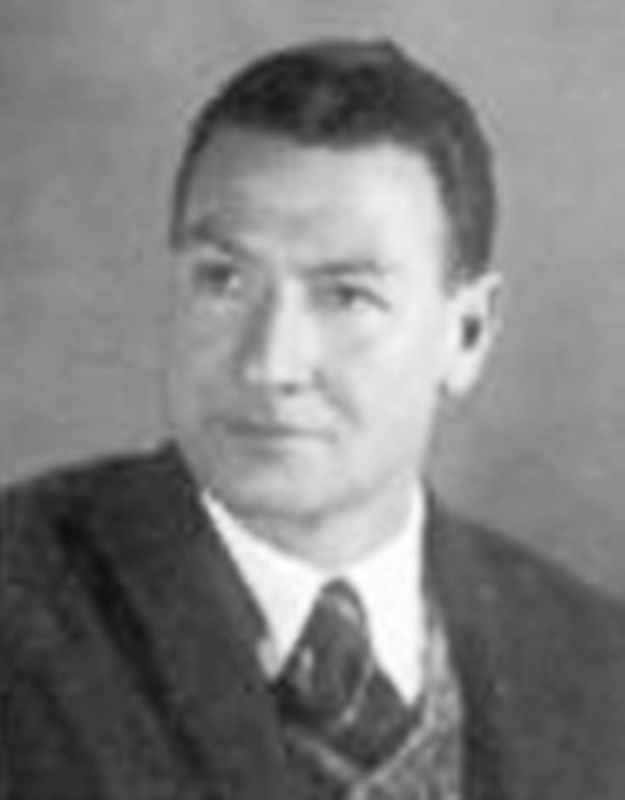 He was responsible for the E43 project, later renamed EUR: the district of the Universal Exposition of Rome scheduled for 1942. The exhibition, however, never took place and the works were interrupted in 1942 to resume, at the end of the war, on the basis of a project completely redefined in a rationalist way. And rationalism, with its dry, functional and geometric stylistic features, will be the architectural imperative of post-World War II and reconstruction. 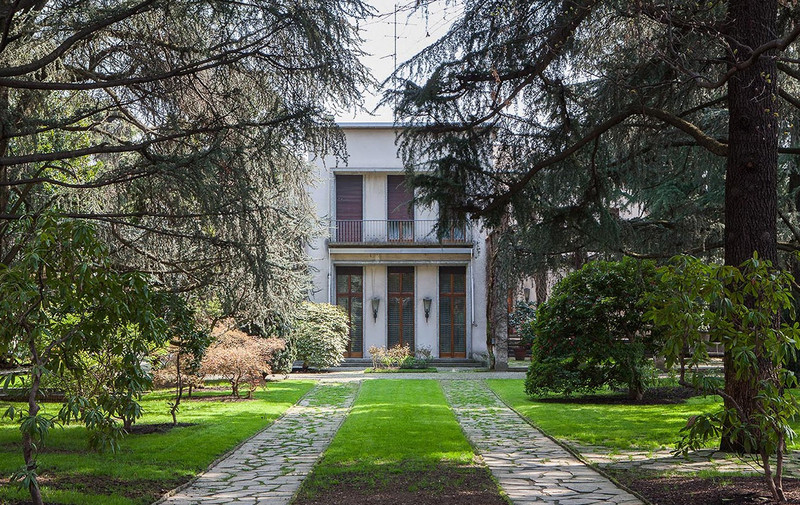 In Milan, among the young architects who have assimilated the new language, there will be Achille and Piergiacomo Castiglioni, Ignazio Gardella, Franco Albini, Alberto Alpago Novello, Guido Canella, and among them Osvaldo Borsani that at the end of the decade shows its full maturity with the construction of the family villa in Varedo, today considered a staple of post-war Italian architecture. Italy in the fifties returns to look to the future with confidence and optimism and lives a real cultural renaissance: design, architecture, fashion, industry and culture activate a dense interdisciplinary dialogue to invent a country that is no longer afraid to imagine. In architecture the rationalist rigor meets the vertical projections, the curved lines, the light geometries of glass and steel. The air you breathe has the seductive scent of America by Frank Lloyd Wright, Eero Saarinen and Ludwig Mies Van Der Rohe. In Milan, this wind hits people like Gio Ponti, who definitively detaches himself from the classical legacy to give life to the Pirelli Skyscraper and the BBPR studio that creates the Torre Velasca. A wind that does not leave even Osvaldo Borsani indifferent. 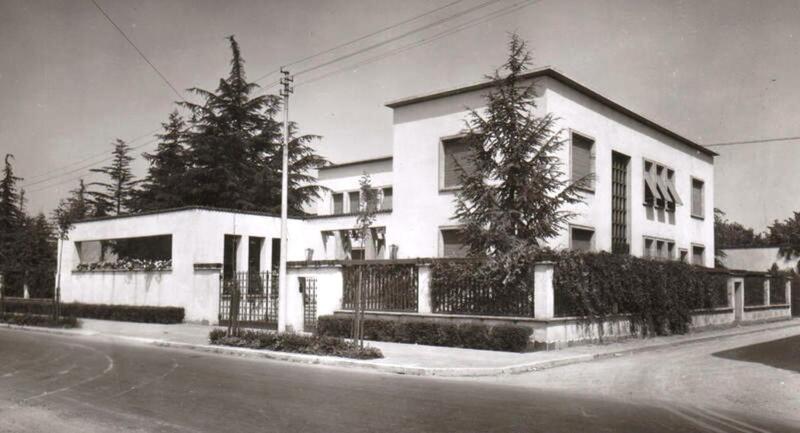 In 1953, together with his brother Fulgenzio, he gave life to Tecno: a house for a new design concept in which the skill of the craftsman meets the horizon of technology and production on a large scale. 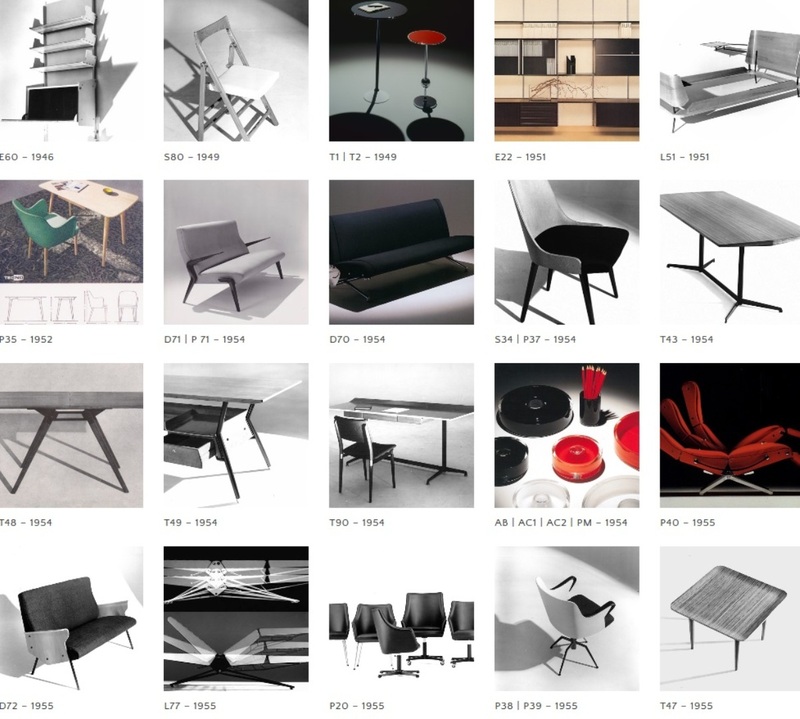 The result of all this are the iconic products that have definitively fixed the imprint of Osvaldo Borsani in the history of design.They are called P40, D70 and L77. 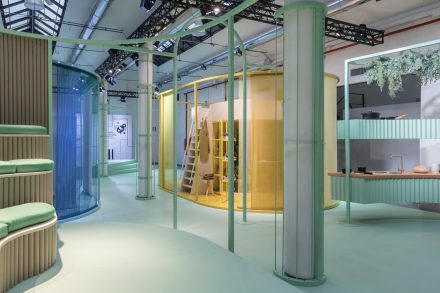 Timeless objects that from the ’50s and from Italy have merged into the most important museum collections in structures such as MoMa, Pompidou Center, Victoria and Albert Museum. Sixties, a decade that opens with the Rome Olympics and closes with the utopia of the student revolution. 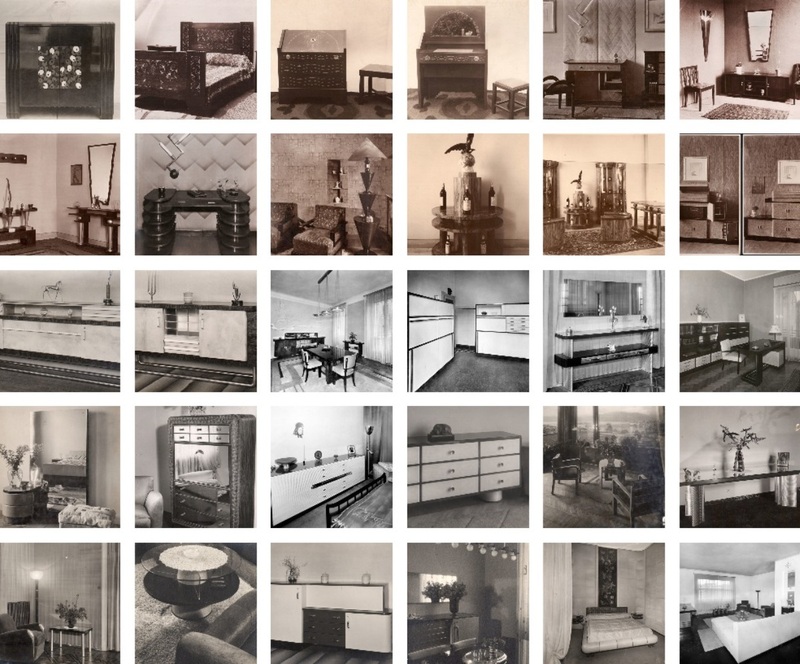 Inside the consumer society, the space race, the industrialization pushed to life. Those who until then were the landmarks of world architecture (Le Corbusier, Gropius, Mies Van Der Rohe) gradually disappeared and those who remain must come to terms with a world in swirling transformation and calling for a point of fracture with the past. In fact, the new world does not seem to appreciate the functional rigor of rationalism with its reassuring and rectilinear certainties. The art world, from Salvador Dalì to Marcel Duchamp, crosses the ocean to pay homage to the pop radicalism of Andy Warhol’s Factory. 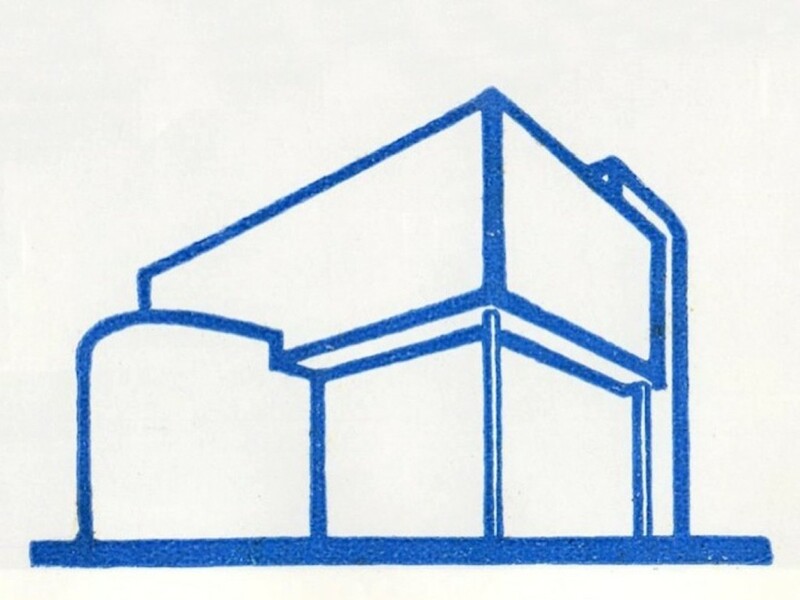 And always from the United States, the first signs of a new architecture begin to arrive in Europe, which will reach full maturity in the ’70s: the Postmodern. Which means reconsideration of the aesthetic function, hedonic statement and return to the ornament. In Italy, Postmodernism, at least in the sixties, does not mean total rejection of the Modern Movement, but only of its stiffer positions and proposes a new metabolization of historical memory through the integration of classical and modern elements in the name of a “measured monumentality” . Osvaldo Borsani in the ’60s sees his most ambitious project born in the early 50s, Tecno, reach full maturity. 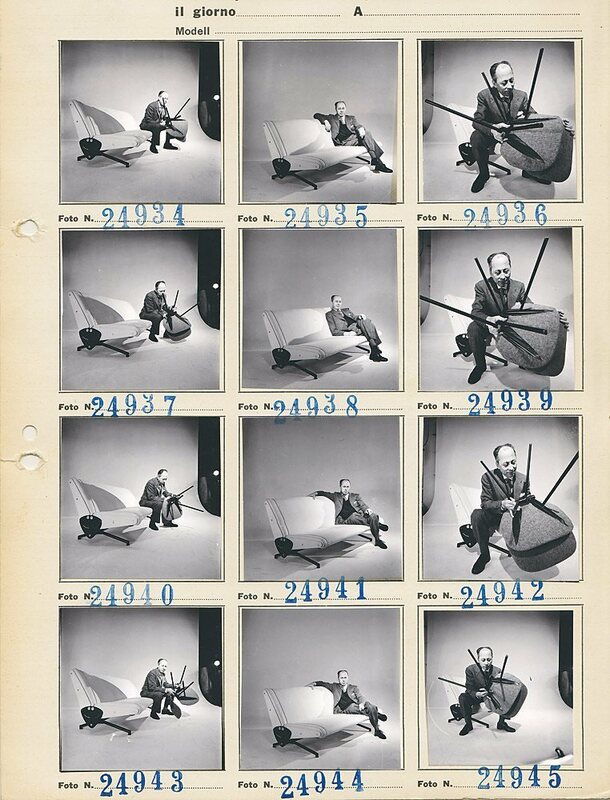 May 31, 1968 saw his new line of Graphis office furniture stacked in the rooms of the Triennale occupied, on the inauguration day, by a group of artists who claim the urgency of a democratic and direct management of the spaces of art and culture. 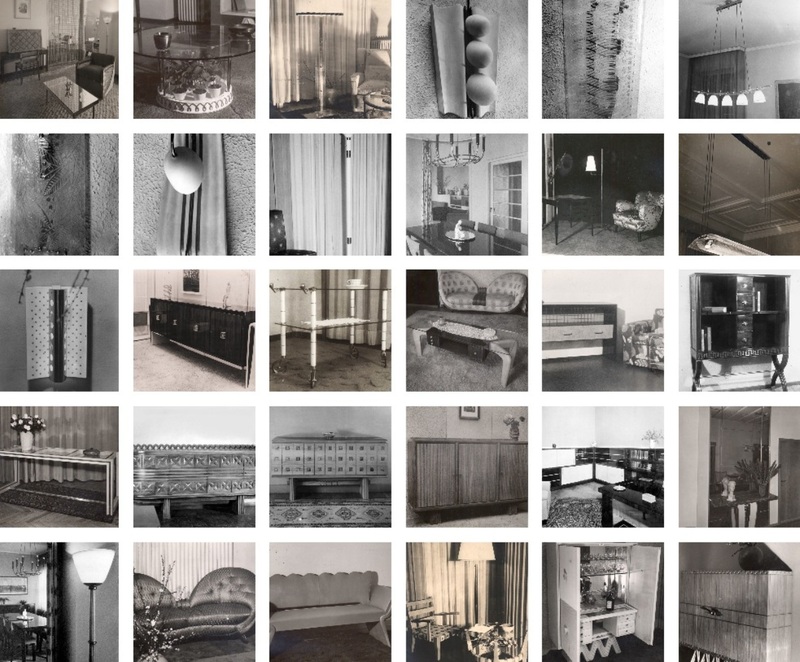 It is curious that those furniture, which had become involuntary icons of the Milanese Mayor of 1968, were themselves the fruit of a revolutionary vision. 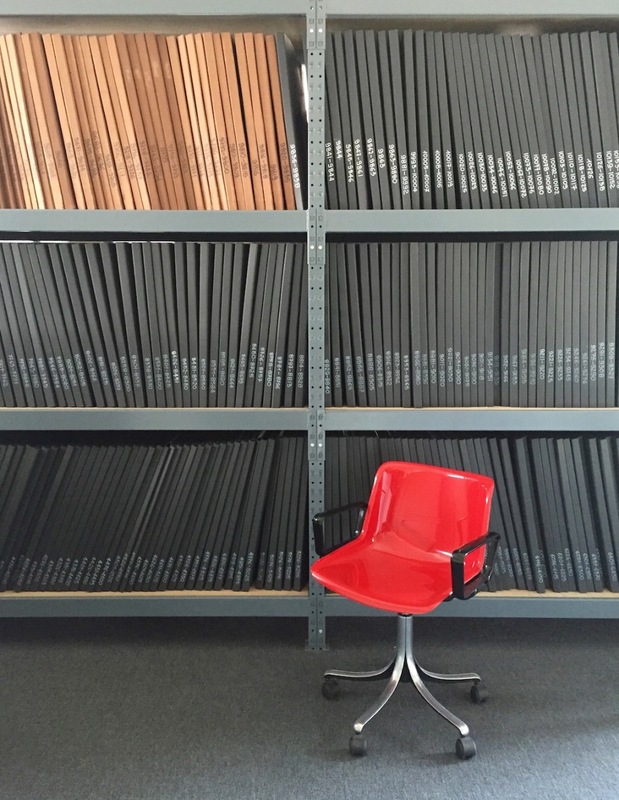 Indeed, through Graphis, Osvaldo Borsani proposes a new “democratic” concept of the office. Where the codifications of the different hierarchical statuses (which largely passed from furniture choices) are broken down in the name of functional rationality and only hinted at by the different colors of the desk tops (white, black, wood). 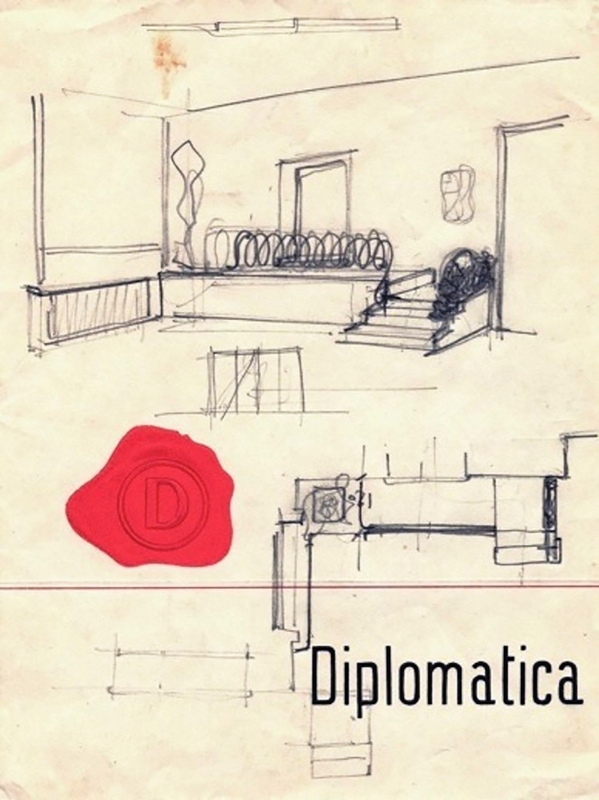 Architect, designer, entrepreneur is the volume that tells the story presentations, which goes from the mid-20s until the early 80s, of the one who interpreted independently and original one of the more significant routes in the history of Italian design celebrated in the world. At over 600 pages and illustrated with 1500 images, this extensive volume with contributions by Norman Foster, Arnaldo Pomodoro and Joseph Rykwert amongst others, is an in-depth review of the complete works of Osvaldo Borsani from 1925-1985. In the history that has seen the intertwining of design and architecture in our country according to a typical and special Italian way, perhaps no one, even internationally, has gone through the entire XXth “short century” with the same evolutionary amplitude, both of project of both production techniques, such as architect, designer and entrepreneur Osvaldo Borsani (1911-1985). 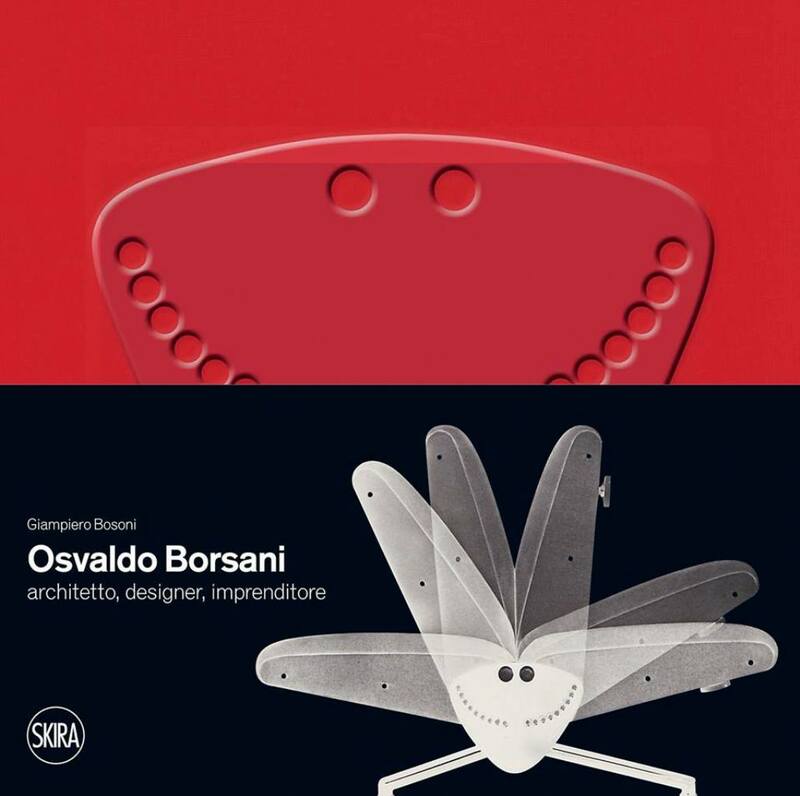 Osvaldo Borsani was a protagonist of 20th century architecture and design, a great entrepreneur, a brilliant innovator. He is no longer with us, but he has never gone away. 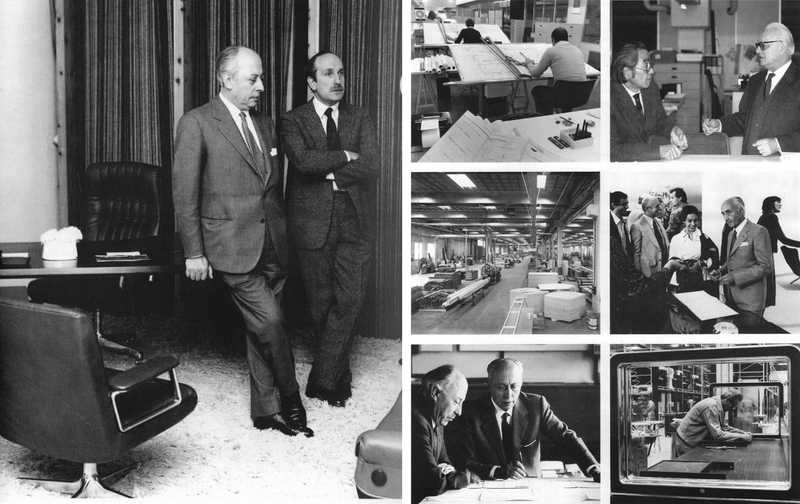 The conversation he started is continuing through the buildings he designed, the furnishings he created, the people who knew him, the company he built (Tecno, one of the entrepreneurial jewels of Made in Italy). Today we want to open a new dialogue with Osvaldo Borsani. A stroke of a pen that signed projects, drawings and visions. A stroke of a pen that, now, tells a timeless story living in the present continuous. 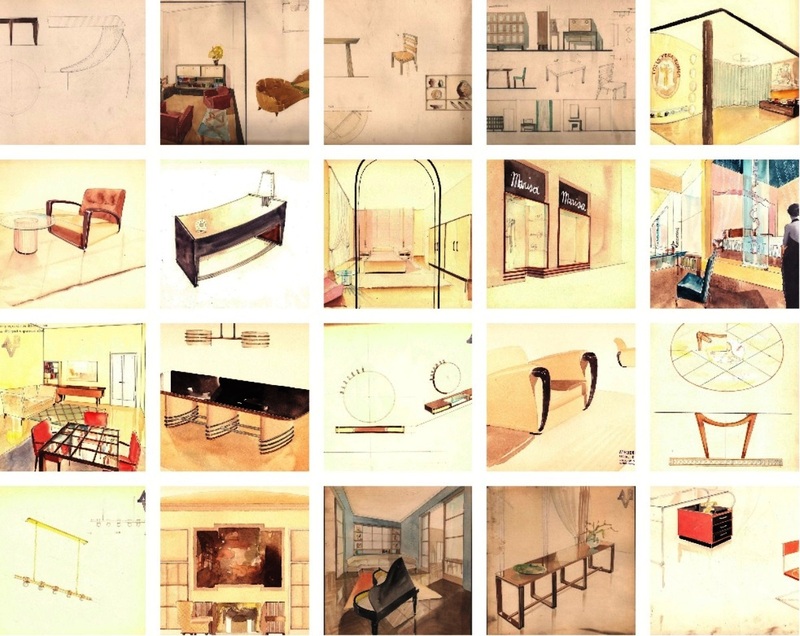 The Archivio Osvaldo Borsani announces the first retrospective exhibition of the life and work of an architect, designer and visionary. 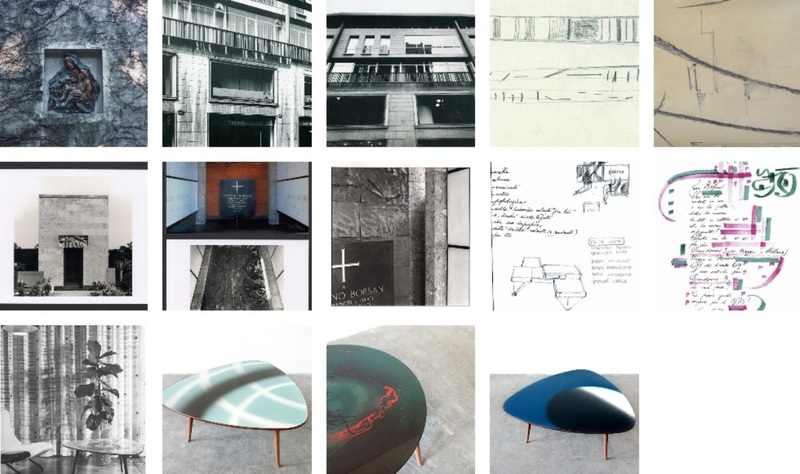 ‘Osvaldo Borsani’ – from 15 May to 15 September – is curated and designed by Norman Foster and Tommaso Fantoni. The exhibition will trace the arc of Borsani’s career from the 1930’s until 1985; presenting over 300 objects, from unique pieces to industrial icons, alongside an incredibly rich array of archival materials including drawings and photographs. 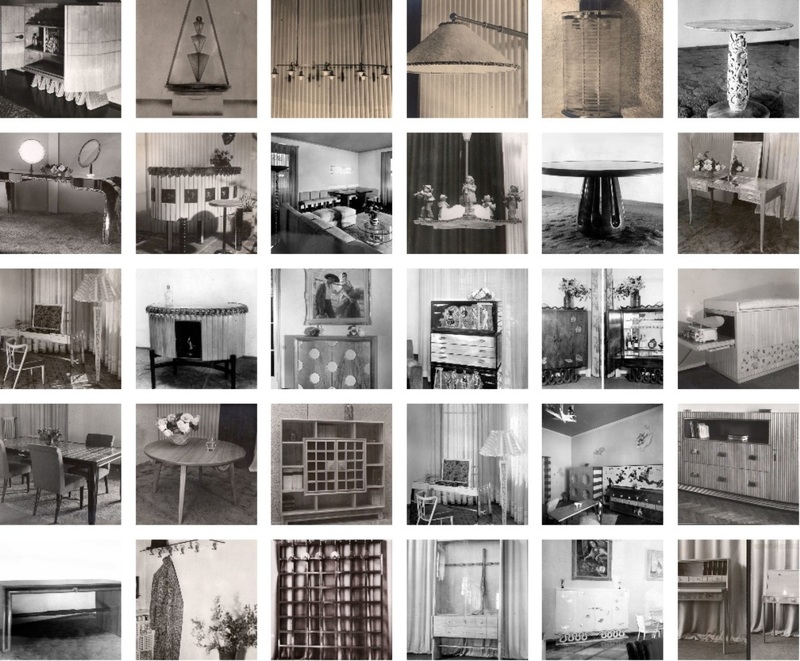 The Triennale exhibition will show over 300 objects and reconstruct some of Borsani’s milestone projects – such as Casa Minima (1933) and interiors for the HQ of energy conglomerate ENI (1956) – as well as some of Tecno’s innovative advertisting. 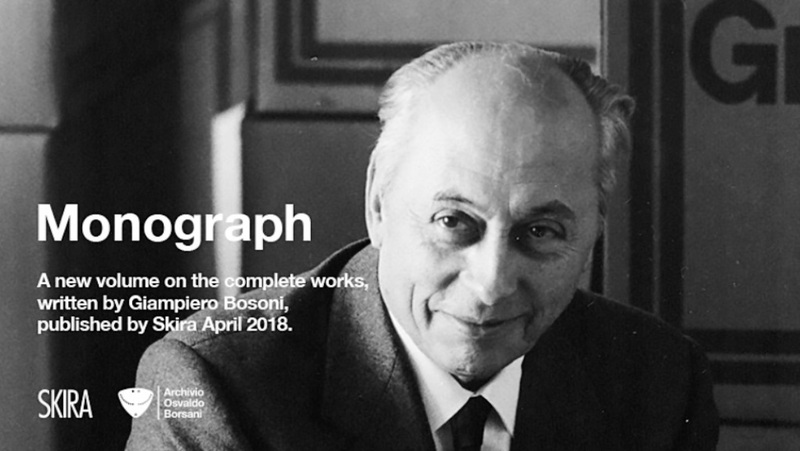 A catalogue, edited by Giampiero Bosoni, professor at Politecnico di Milano, is also in the works, promising a chronological survey of Borsani’s work produced between 1925 and 1985. 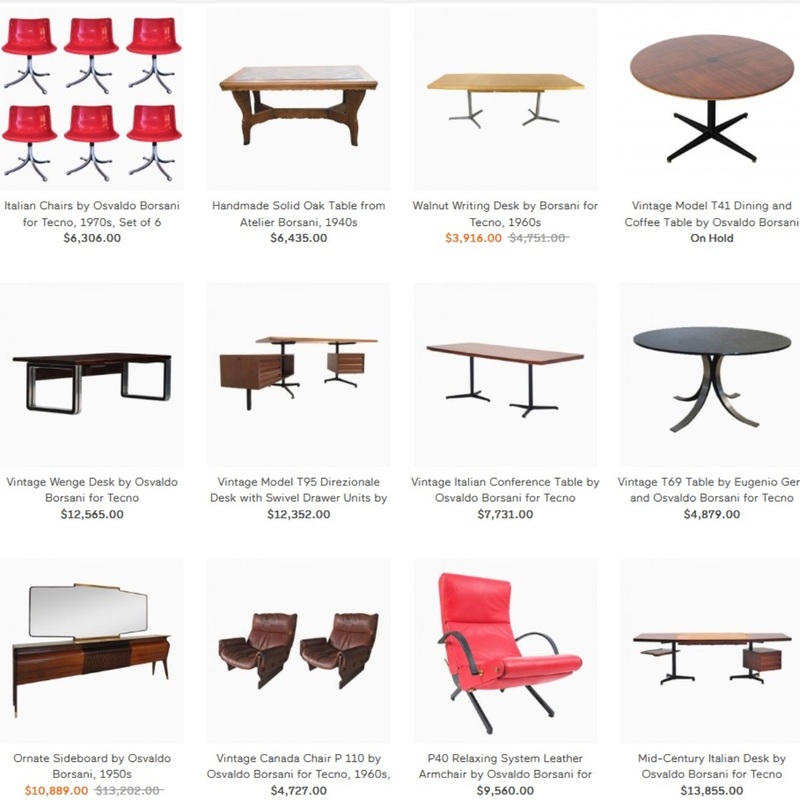 1911 Osvaldo Borsani was one half of twins boys born in 1911 in Varedo, Italy into a family of fine furniture makers headed by their father Gaetano Borsani. Osvald’s twin Fulgenzio would be by his side for their whole careers. 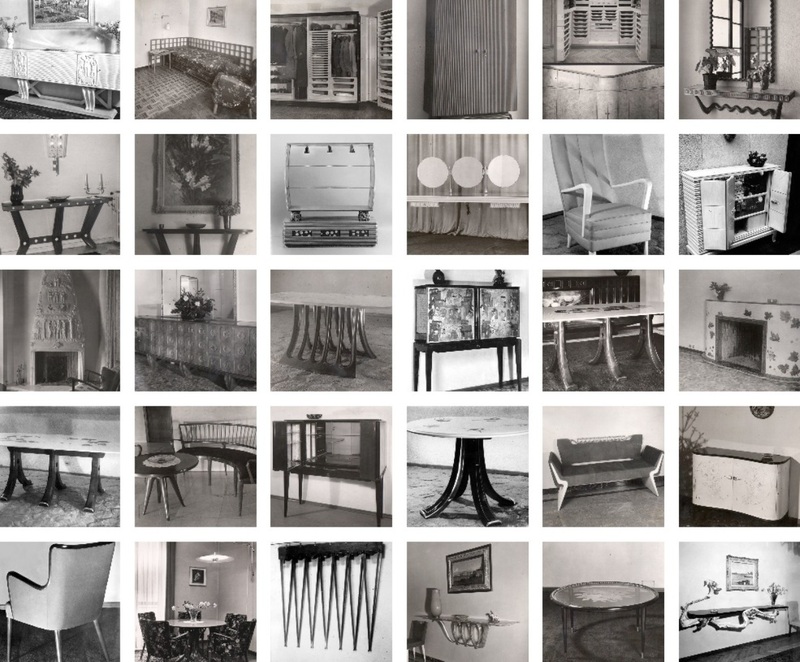 His father was the owner of Atelier di Varedo, which created custom furnishings and interiors in Italian Deco style, such as the installations that the “Atelier Borsani Varedo” presented at the Monza Biennale in 1927. 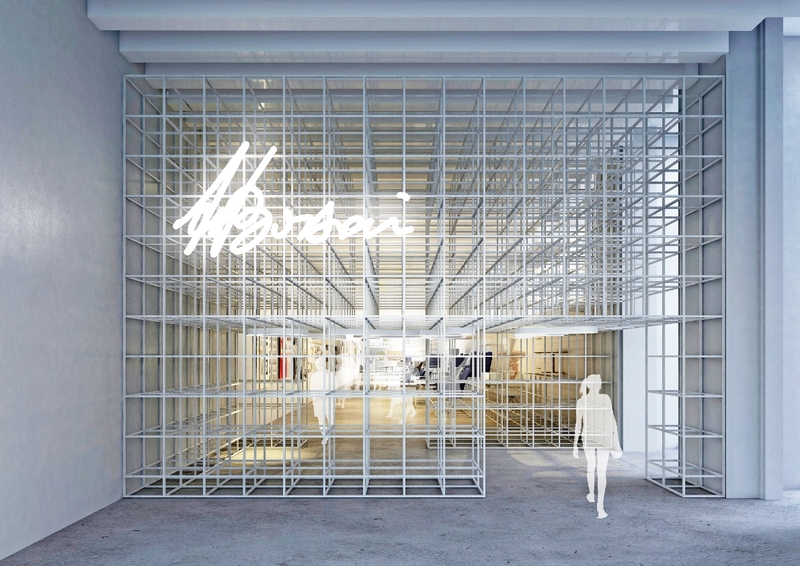 1932 ABV, Arredamenti Borsani Varedo opened in Milan. This success allowed him more sway over the family business, and more freedom to experiment with new design ideas and technologies. He also started befriending avant-garde artists such as Lucio Fontana, Agenore Fabbri, Aligi Sassu, Roberto Crippa, Fausto Melotti, and Arnaldo and Giò Pomodoro. 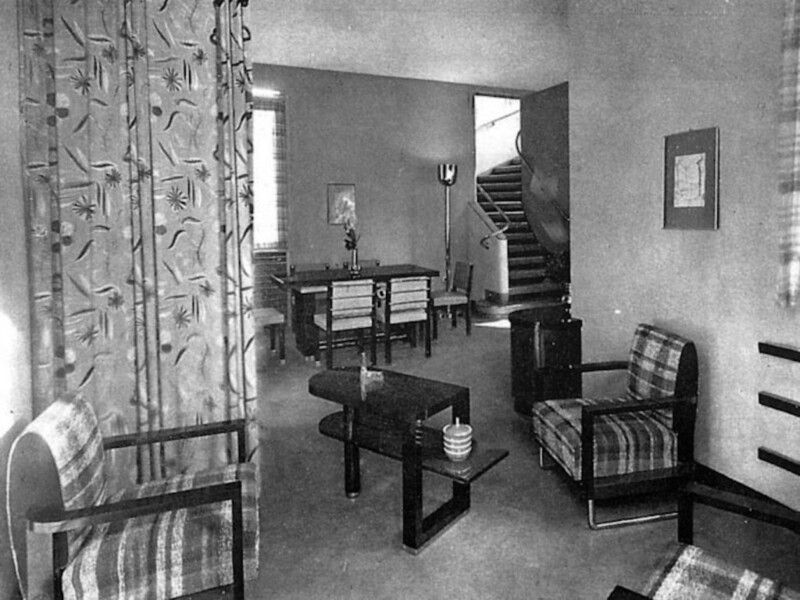 Soon he was inviting them to collaborate on interior and furniture design projects, associations that would continue flourishing after World War II. Among his peers, Borsani was often called “the American” because of his penchant for innovation. 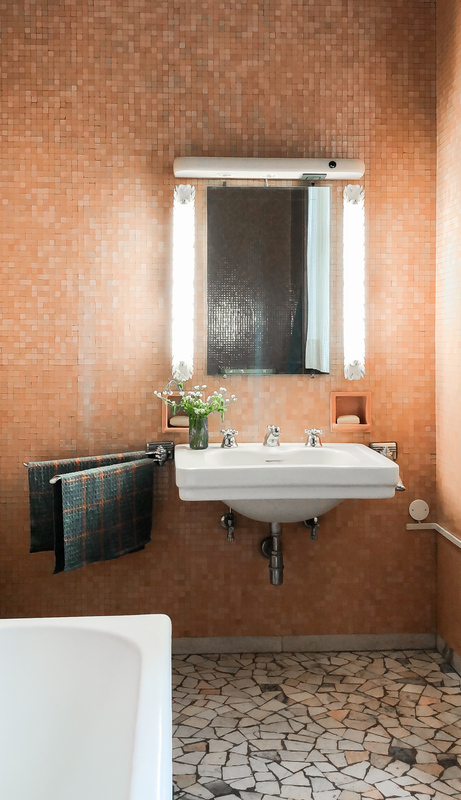 Here he was able to cement his modernist ideas, simultaneously incorporating some of the more traditional design traits he was well versed in. 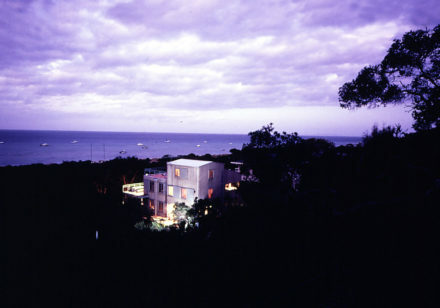 The resulting Villa is an amalgam of 20th-century Italian design encompassing pre-war artisanship and post-war technology. 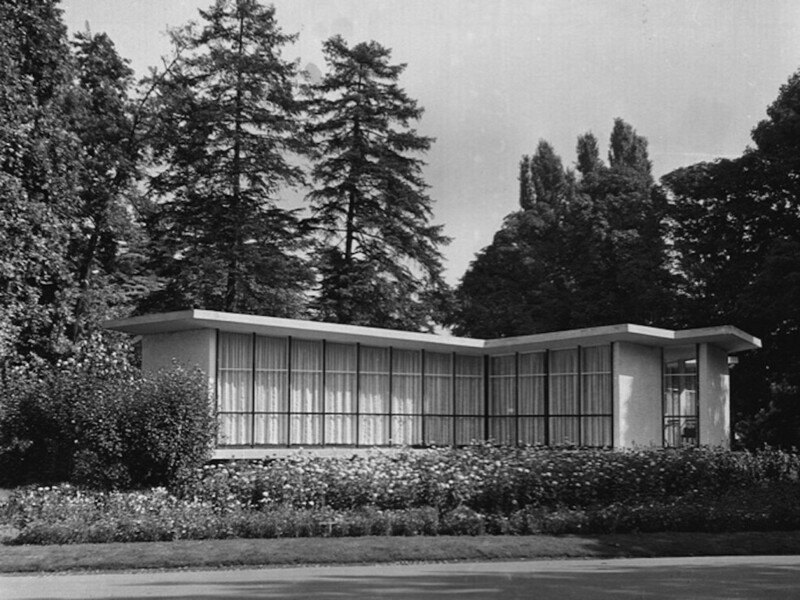 Borsani designed the brick and stucco house and its garden pergola with clean rectilinear lines and a strong vertical emphasis, reiterating these in the elongated windows and doors, which together the many handcrafted wood details echo the style influence of earlier Modernists such as Frank Lloyd Wright. 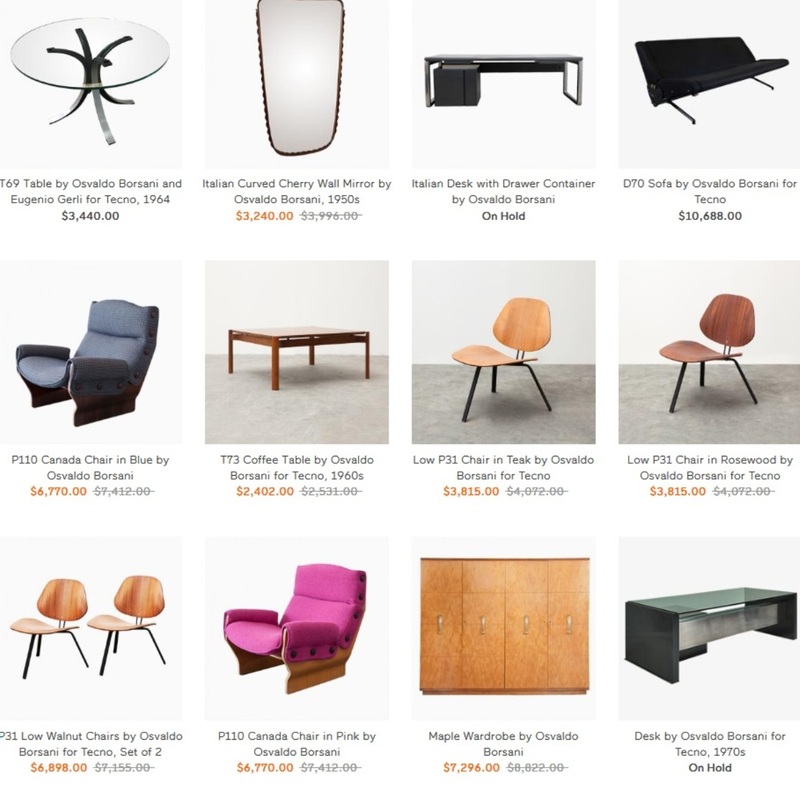 1950s As the economic potential for industrially produced furniture was vastly expanding, Osvaldo’s passion for modernism found fertile, new ground. Osvaldo perceived that the bespoke integral interior design project was giving the way to single pieces of furniture industrially produced. From craftsmanship to planning. From the Atelier to the Factory. 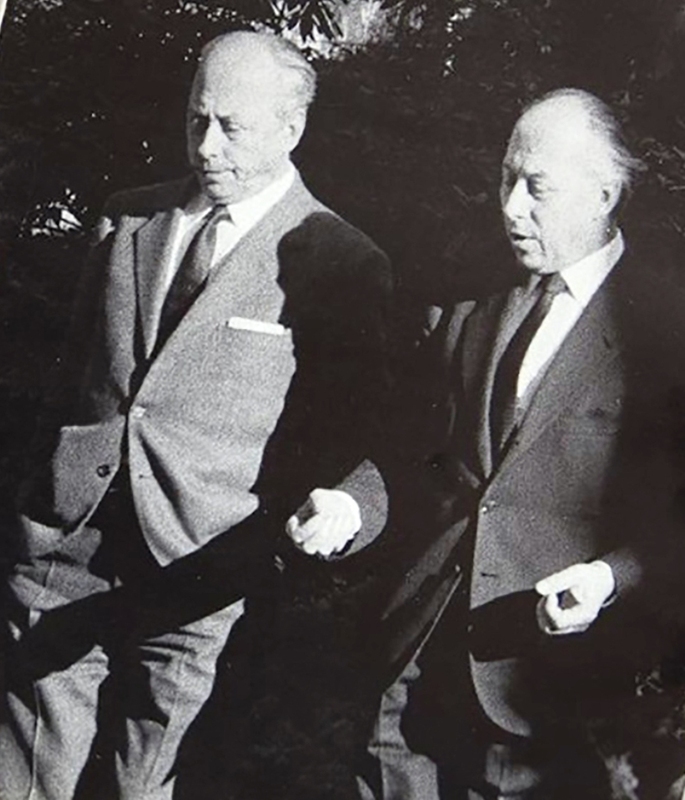 1953 Together with his twin brother Fulgenzio ( now an eonomist ), Borsani rebanded the family business as Tecno, the design and manufacturing company he would dedicate his career to, and where his daughter Valeria and her husband Marco Fantoni would remain company designers for over 30 years. Tecno became a design research and technology center, and the birthplace of a number of iconic 20th-century pieces. 1954 At the 10th Triennale in 1954, the newly born Tecno was presented with the Butterlfy long seat D70, which together with the chaise longue P40 is still an icon of Italian Design. 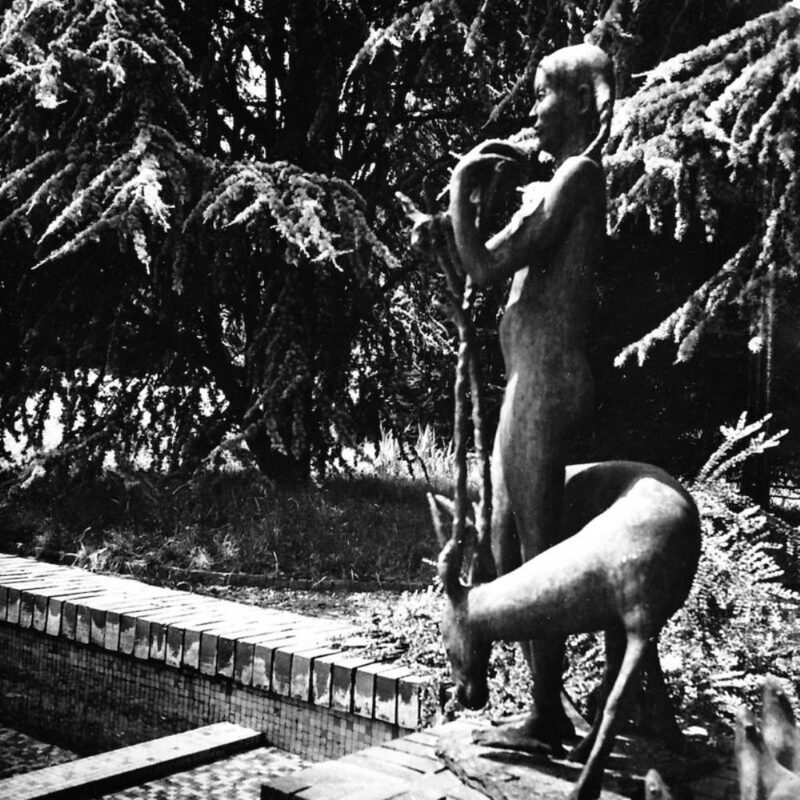 1956 An opportunity to test the big change is soon given to the Borsani twins: is the big commission by Enrico Mattei for the ENI headquarters in San Donato near Milan, 1956. 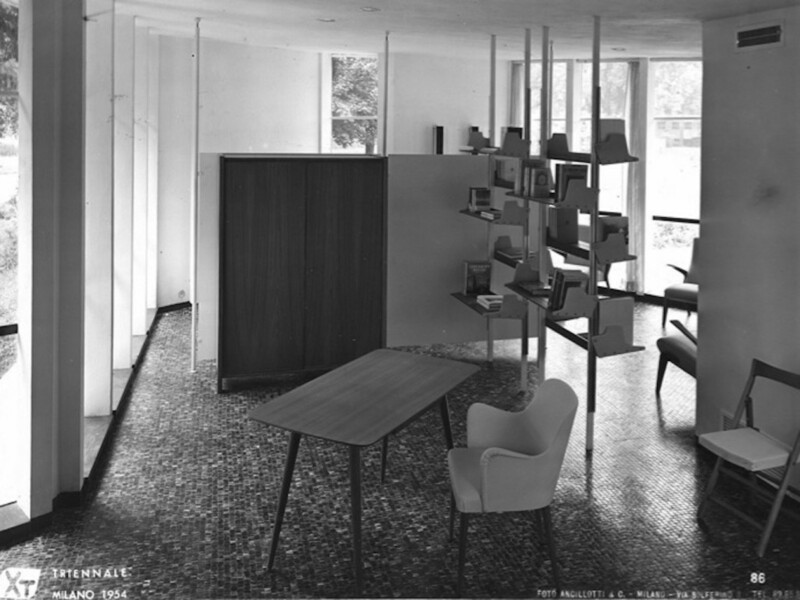 1968 For the 1968 Triennale, Borsani, together with Eugenio Gerli, presented Graphis, the first Tecno office furniture system offering unlimited, flexible combinations of elements that could adapt to and grow with a changing workspace over time. 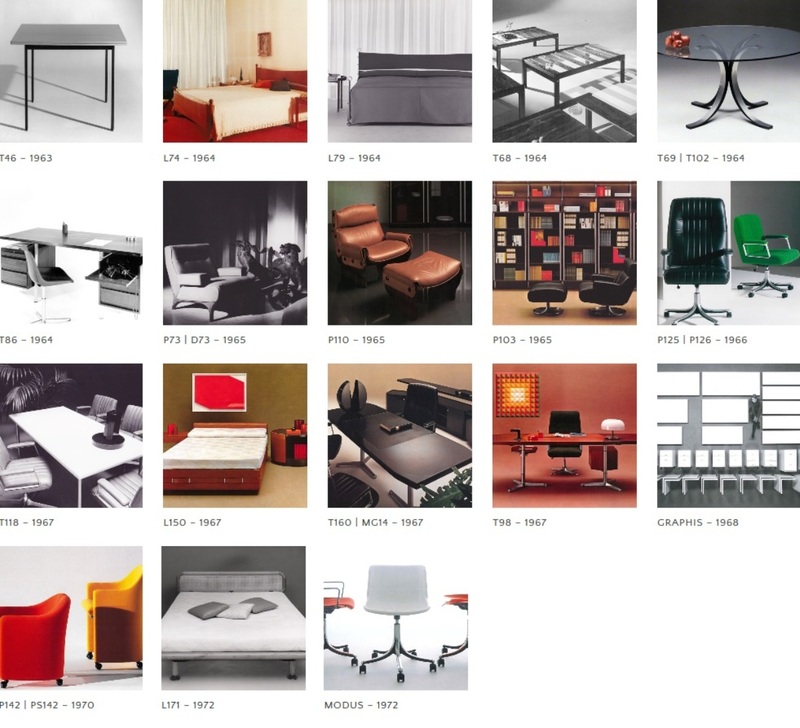 Graphis revolutionized office design, and made Tecno a world-leading manufacturer of modern office furniture. 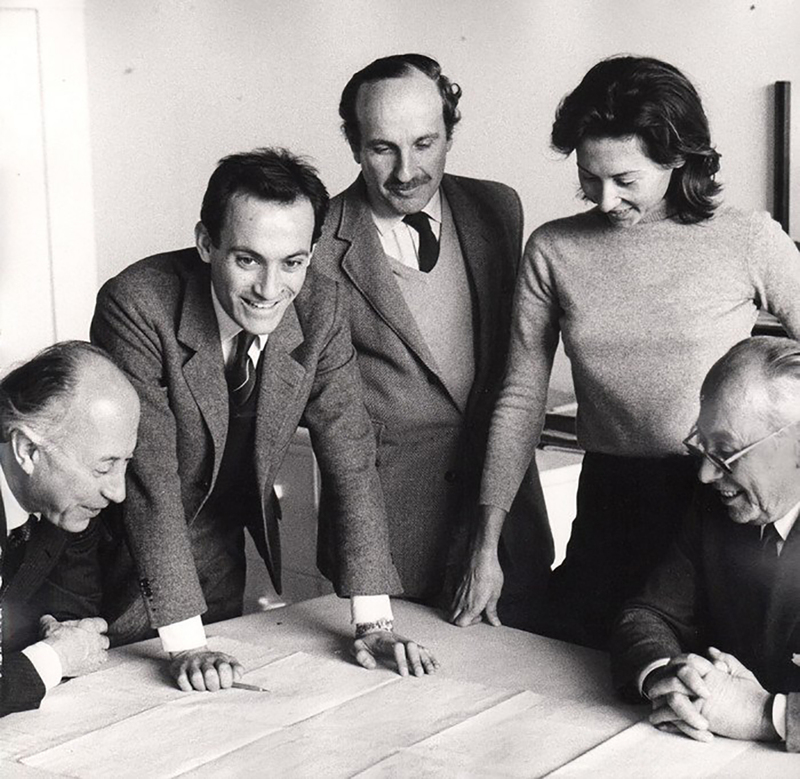 1970 Borsani, Marco Fantoni, and Valeria Borsani created the Centro Progetti Tecno, a collaborative design center for experimenting with new technologies and developing new products, as well as tackling large interior design commissions. 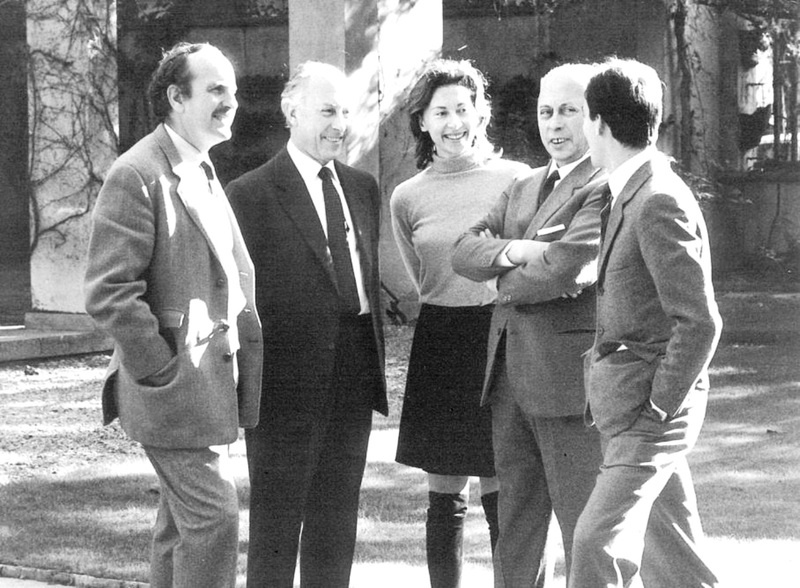 1980s In the 1980s Borsani opened Tecno to outside designers, beginning a succession of contributions from the likes of Gae Aulenti, Roberto Mango, Eugenio Emilio Ambasz, Norman Foster, Vico Magistretti, Carlo de Carli, Mario Bellini, and Robin Day. 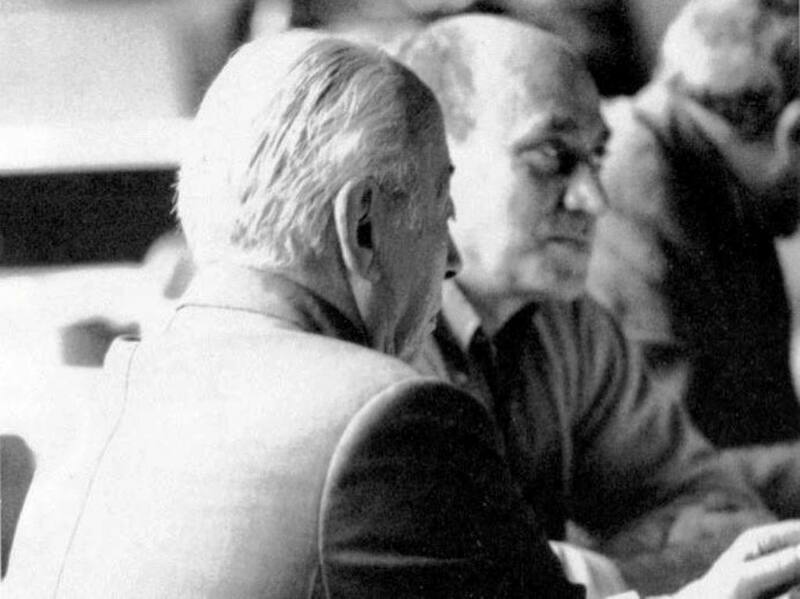 1985 Osvaldo Borsani died in 1985 in Milan. Certain designs, never went into production until after his death. 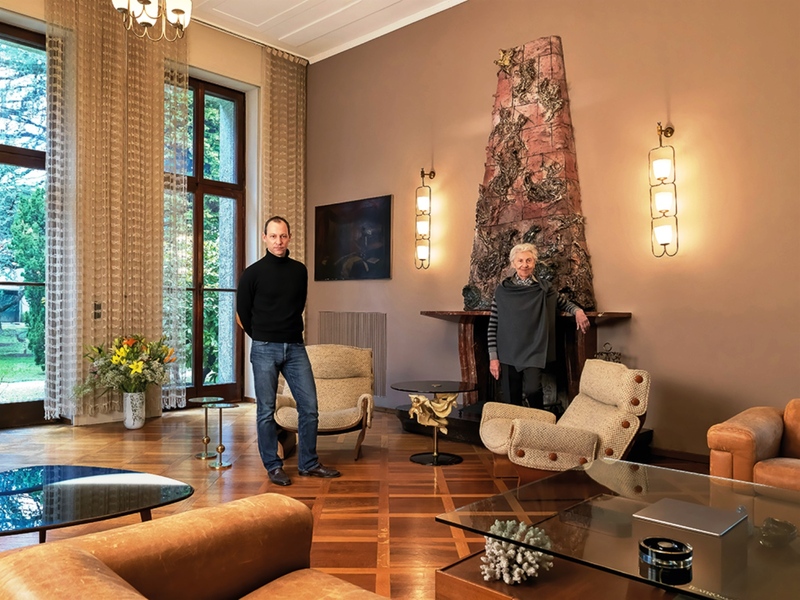 2018 Villa Borsani, meanwhile, his home in Varedo, near Milan, has been opened to the public by the Borsani family. 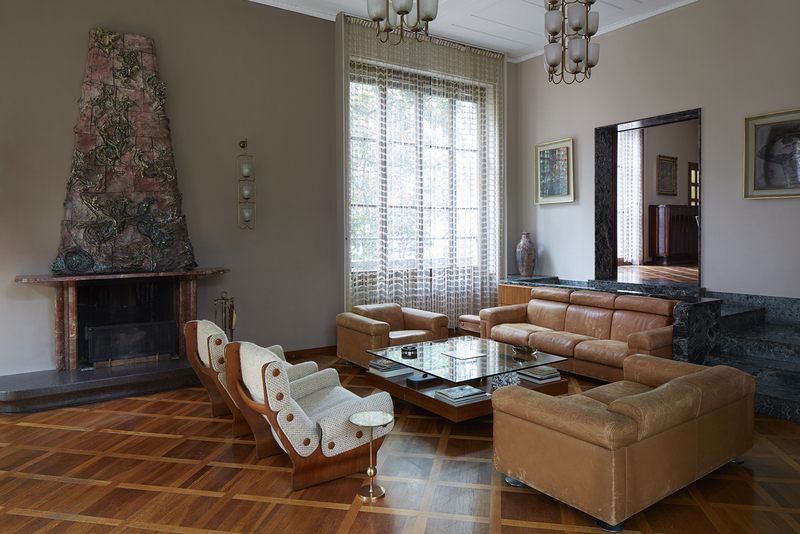 Set within 3,000 square feet of gardens, Borsani’s architectural gem remains relatively unchanged, a veritable testament to his 20th-century design legacy. 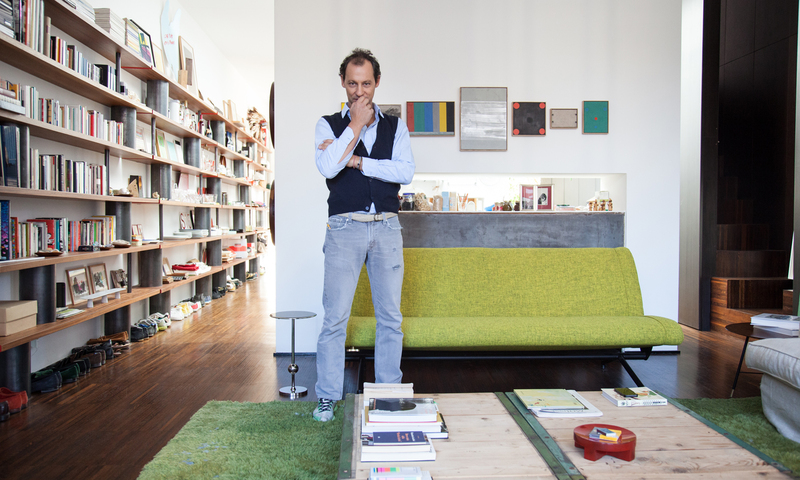 Tommaso Fantoni established TOMOARCHITECTS in 2011, returning to Milan after a decade working in the London and New York offices of Foster + Partners. 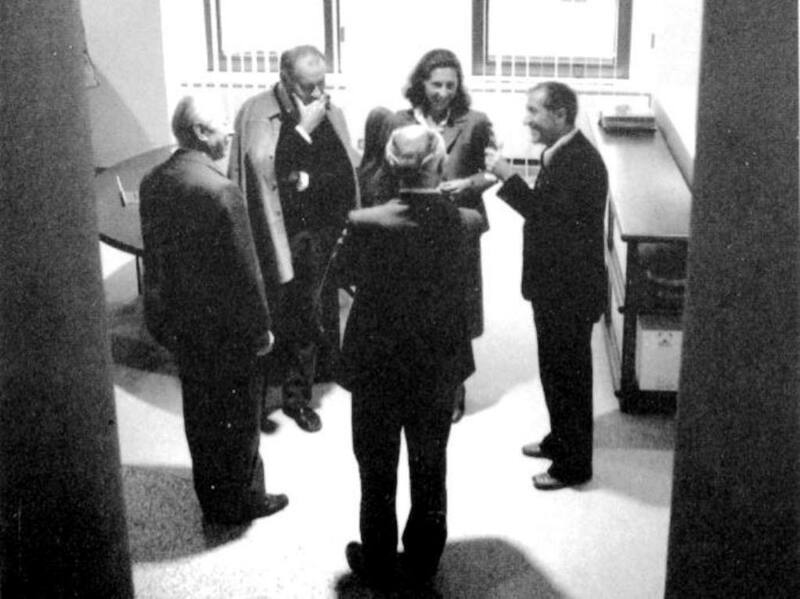 During his tenure with the firm, Fantoni participated in a number of international projects including several in New York City: Tower 2 at World Trade Center, the Sperone Westwater Gallery, and Lord Foster’s private residence. TOMOARCHITECTS was founded on the principles of sustainability and simplicity in contemporary architecture. 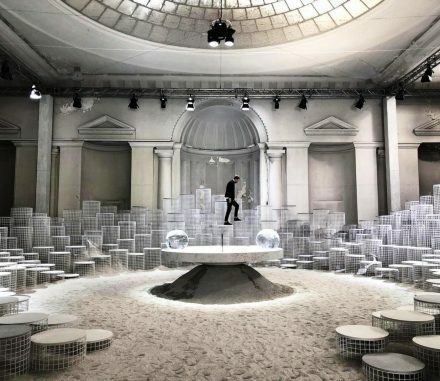 The practice is multidisciplinary, and projects span from residential interiors to cultural institutions–most notably the Fondazione Arnaldo Pomodoro in Milan–as well as product design presented at the Salone del Mobile. Ambra Medda established Ambra Medda Office (AMO) in 2010 to collaborate with brands on special projects, contribute to media, and advise clients in design, fashion and more. 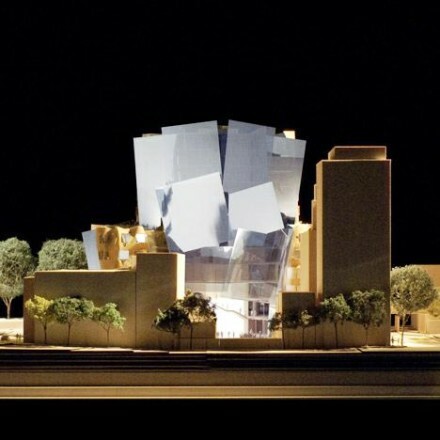 After graduating from Manchester University School of Architecture and City Planning in 1961 Norman Foster won a Henry Fellowship to Yale University, where he was a fellow of Jonathan Edwards College and gained a Master’s Degree in Architecture. 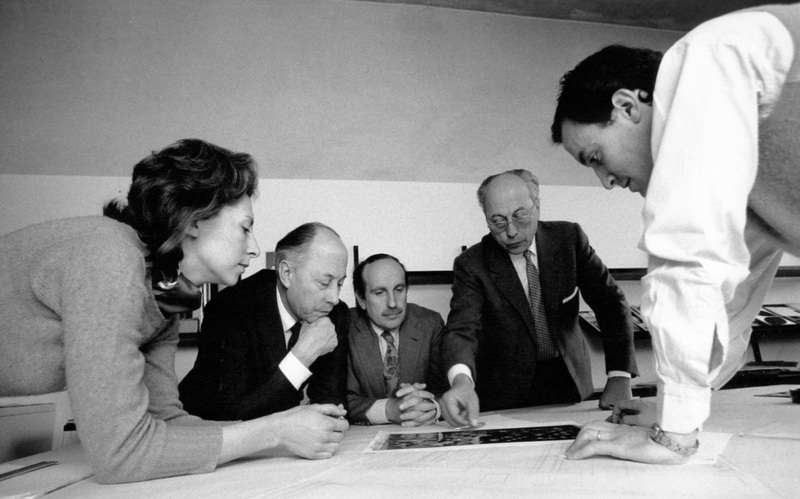 In 1967 he established Foster Associates, which has since evolved as Foster + Partners, where he continues as Executive Chairman. 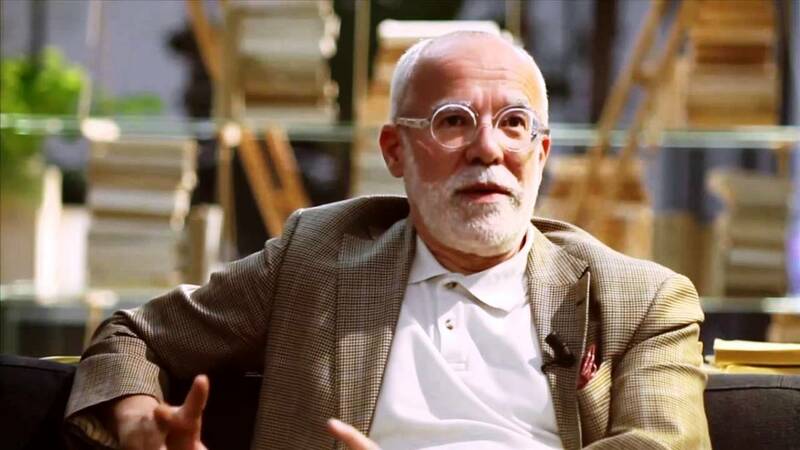 He became the 21st Pritzker Architecture Prize Laureate in 1999 and was awarded the Praemium Imperiale Award for Architecture in Tokyo in 2002. In 2009, he became the 29th laureate of the prestigious Prince of Asturias award for the Arts and was awarded the Knight Commander’s Cross of the Order of Merit of the Federal Republic of Germany. In 1997 he was appointed by the Queen of the United Kingdom to the Order of Merit and in 1999 was honoured with a peerage, taking the title of Lord Foster of Thames Bank. 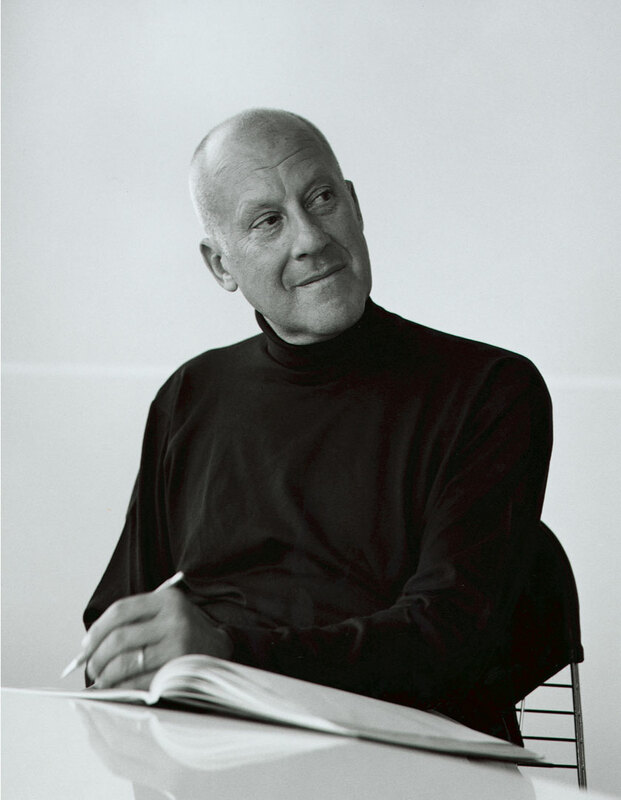 Norman Foster is the President of the Norman Foster Foundation. The Norman Foster Foundation, based in Madrid and operating globally, promotes interdisciplinary thinking and research to help new generations of architects, designers and urbanists to anticipate the future. 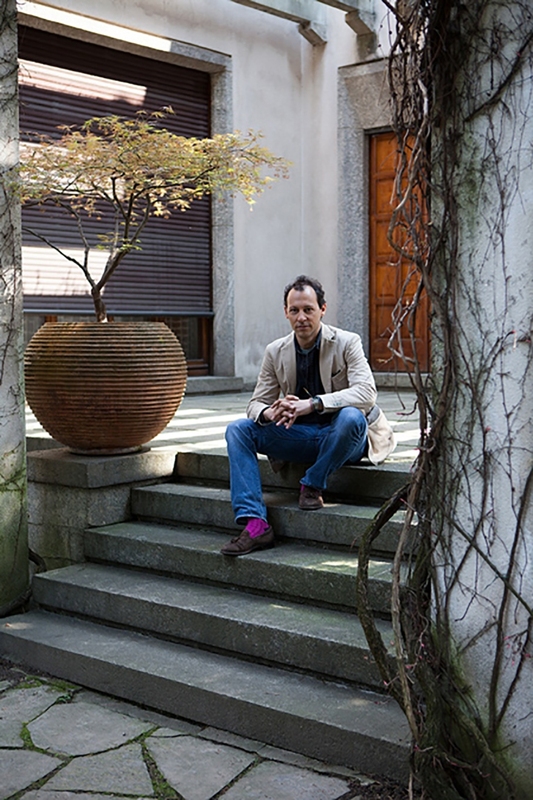 Giampiero Bosoni is an architect and full professor of Interior Architecture and History of Design at the Politecnico di Milano. 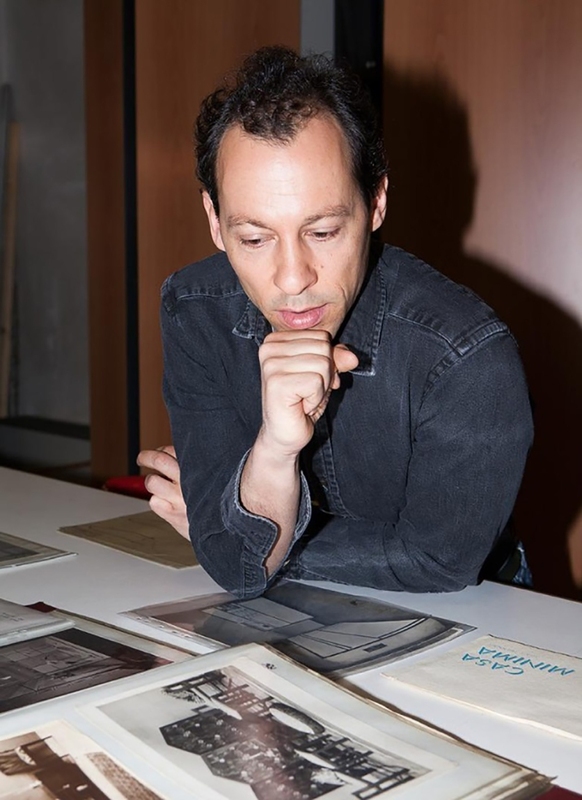 As an editor and author he has published extensively; his works include three books on Franco Albini, as well as the volume Italian Design published by the MoMA New York. 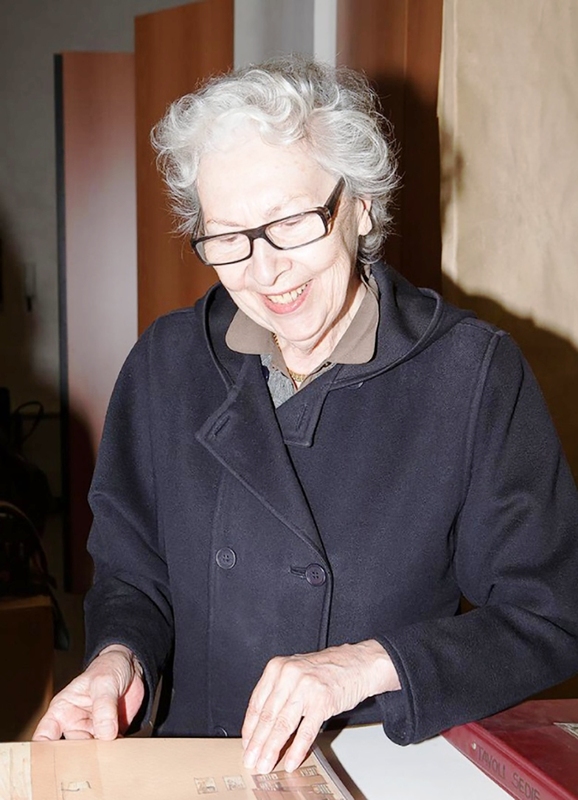 In 2007, he co-curated the exhibition “Il Modo Italiano – Italian Design and Avant-garde in the 20th Century” (Fine Arts Museum, Montreal; Royal Ontario Museum, Toronto; MART, Rovereto). He is a member of the Scientific Committee of the Franco Albini Foundation and of the Italian Design Historians Association (AIS/Design).